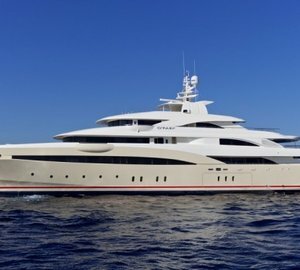 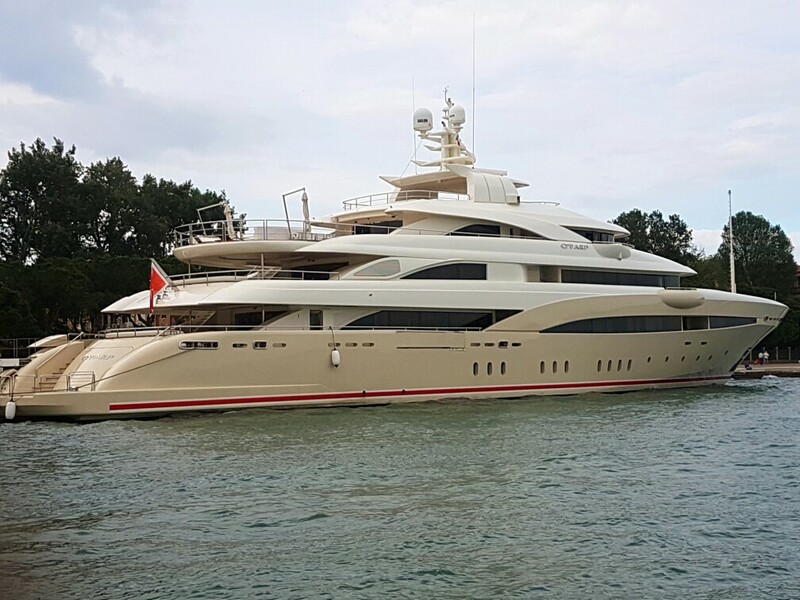 Luxury motor yacht NATALINA A (Ex O'pari 3) was delivered in 2015 by Golden Yachts of Greece and measures 71,85m (235,9ft) in length. 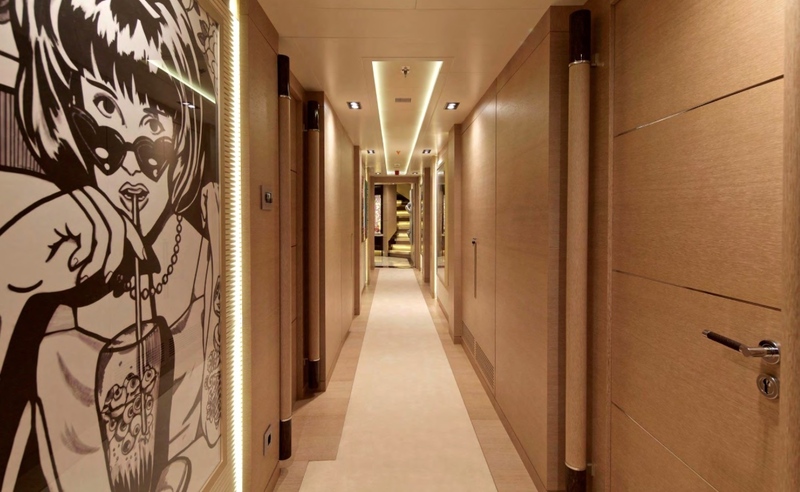 She boasts sumptuous interior living and spacious exterior living, for up to 12 charter guests in 9 generous cabins. 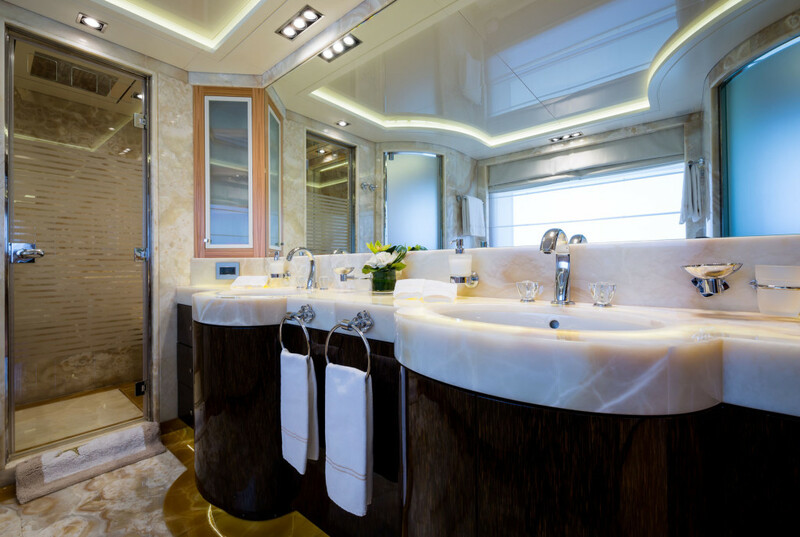 Giorgio and Stefano Vafiadis are responsible for the yachts impressive hull lines and stylish interiors. 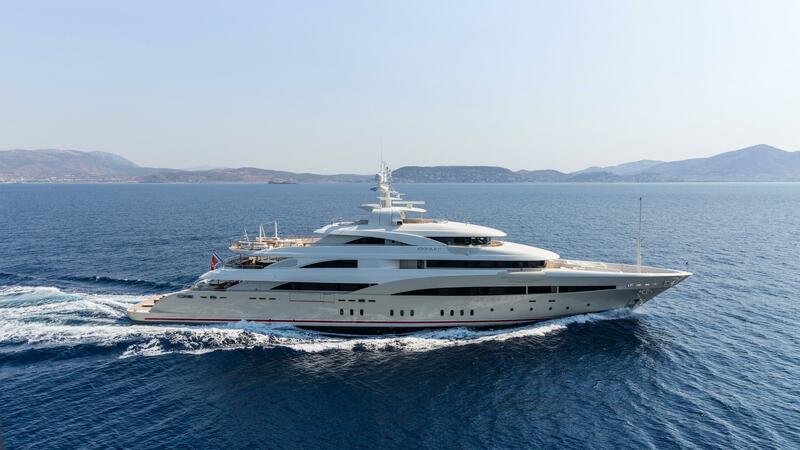 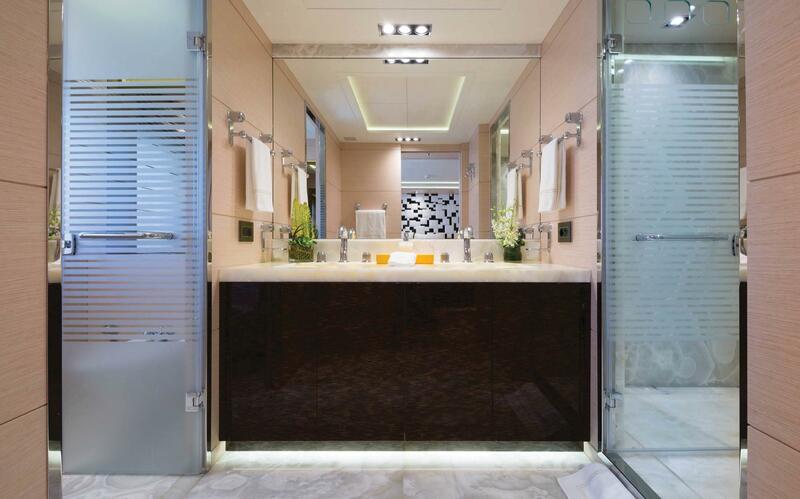 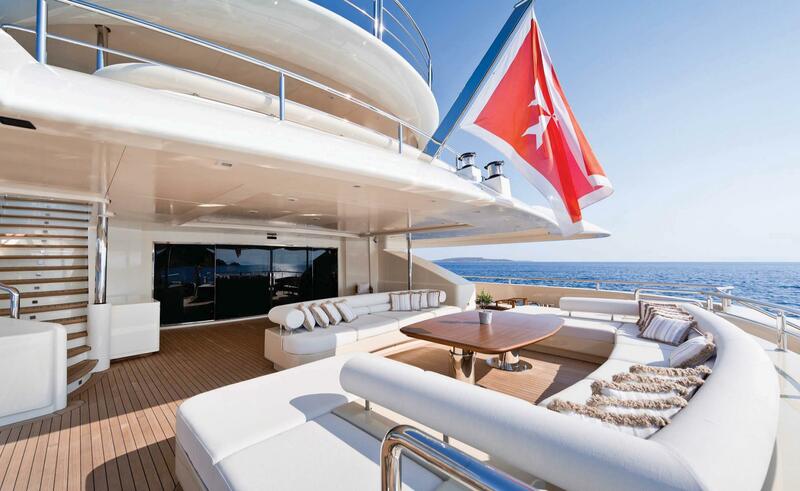 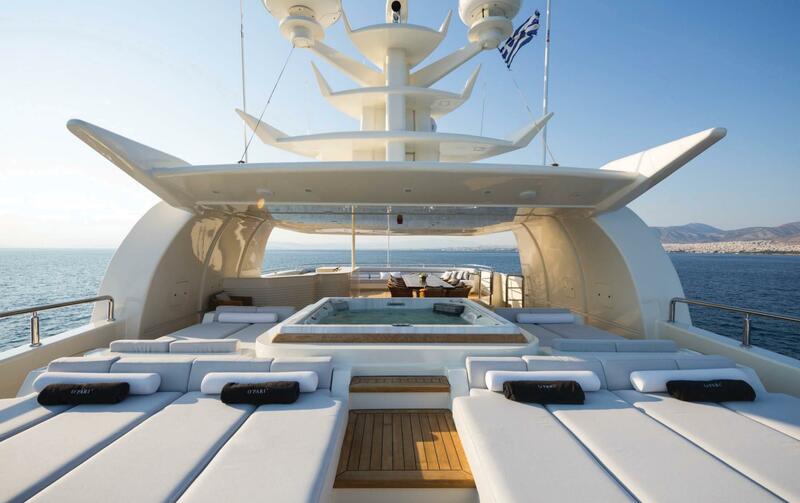 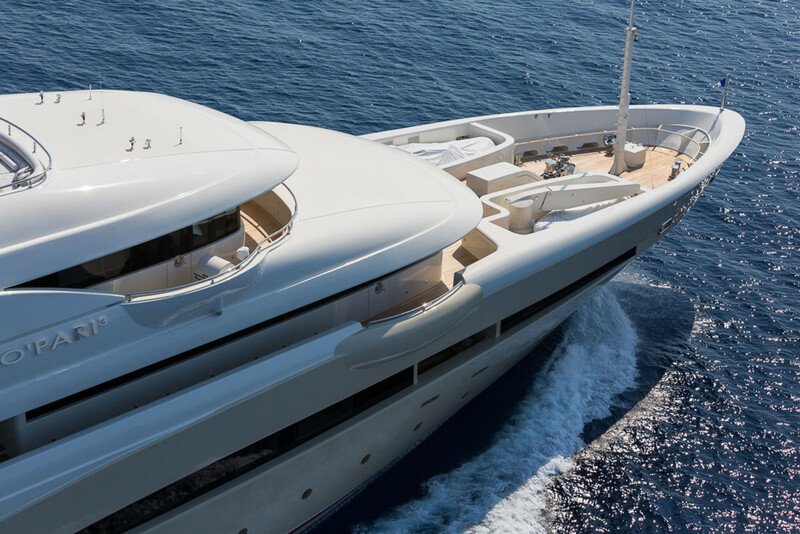 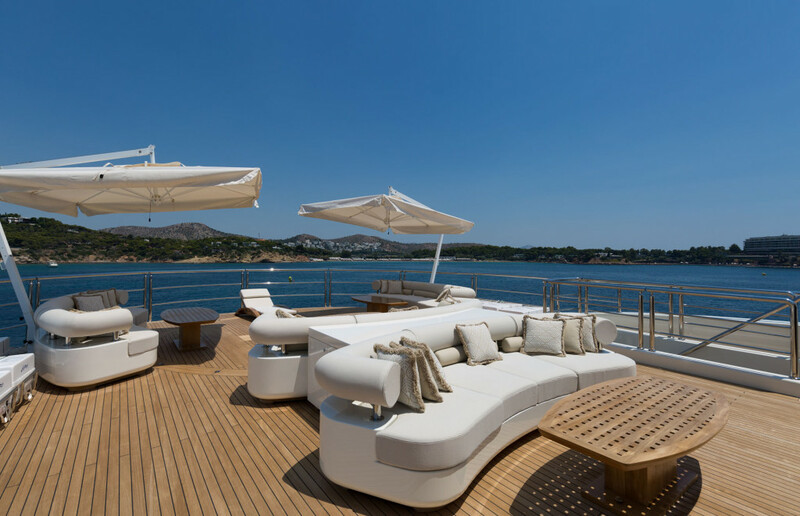 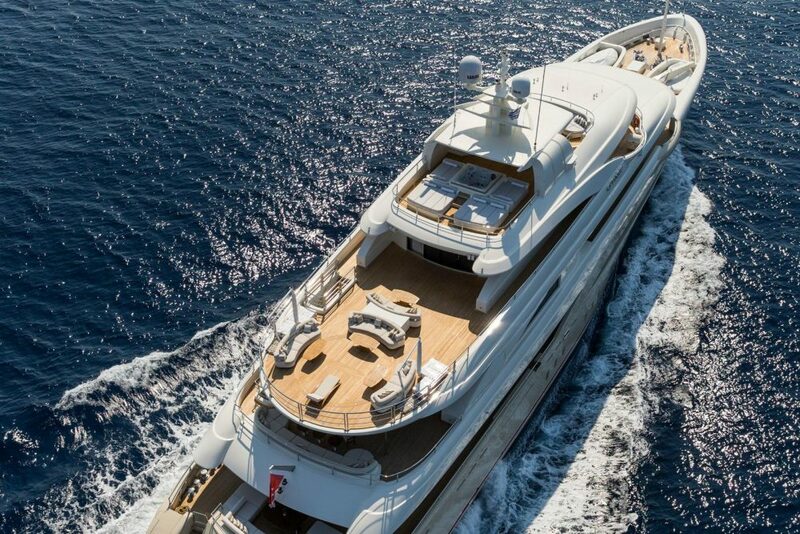 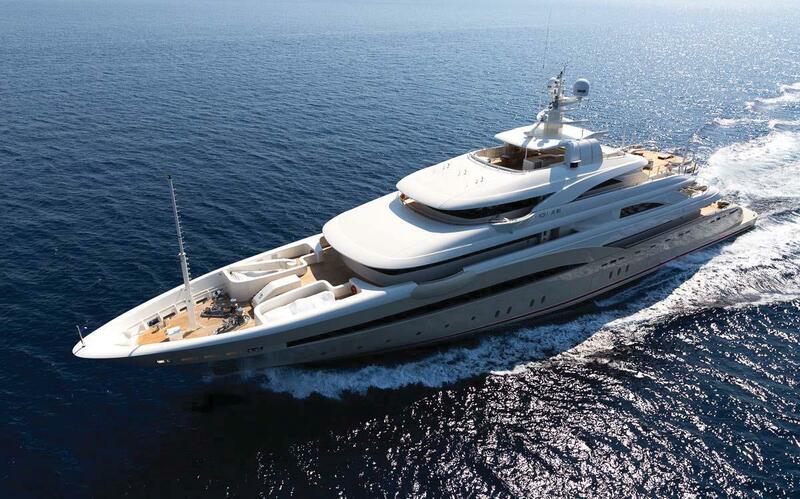 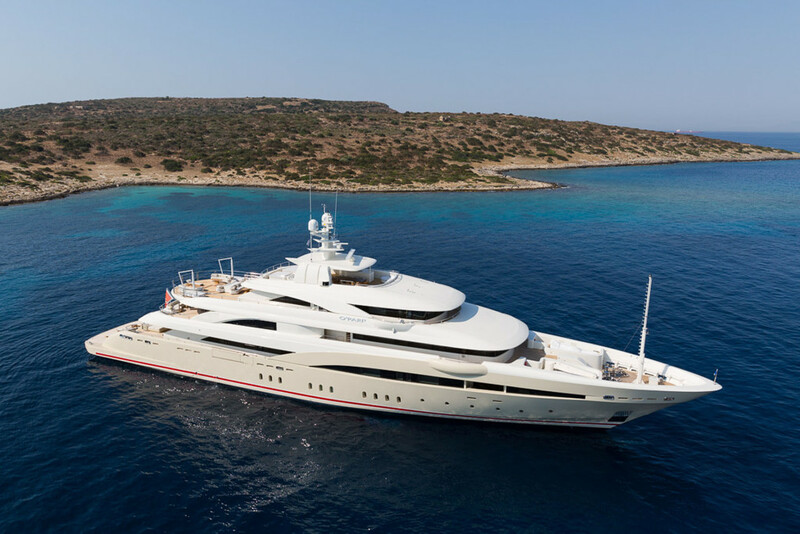 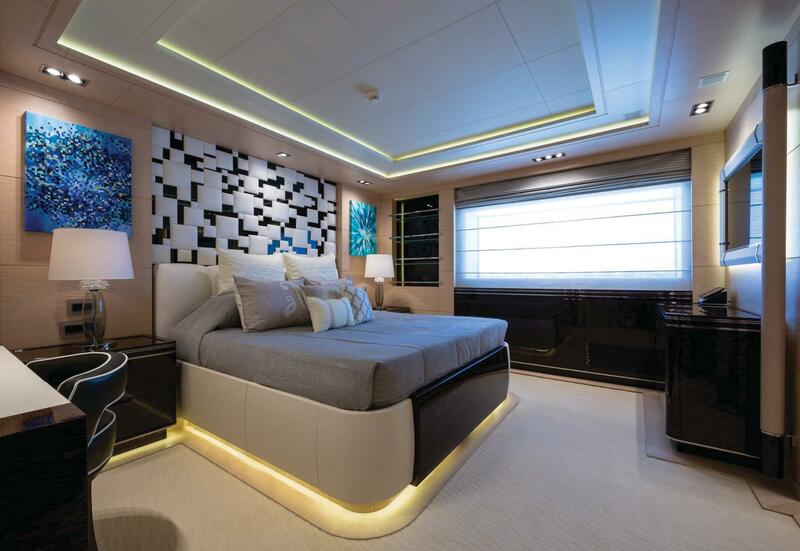 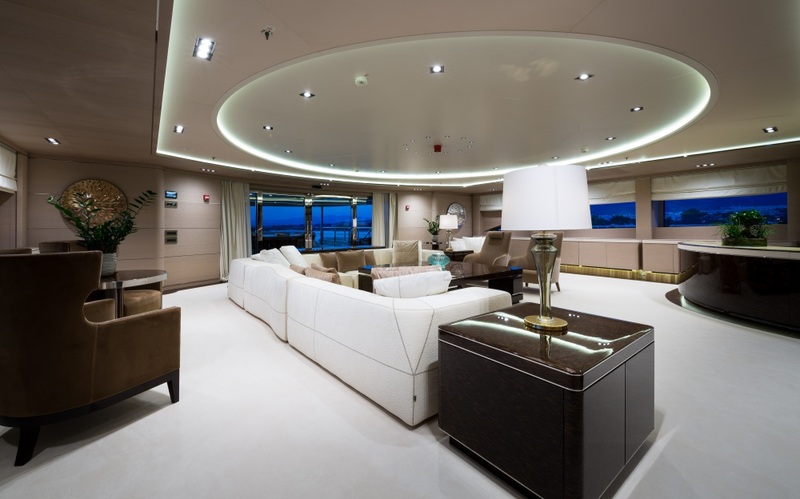 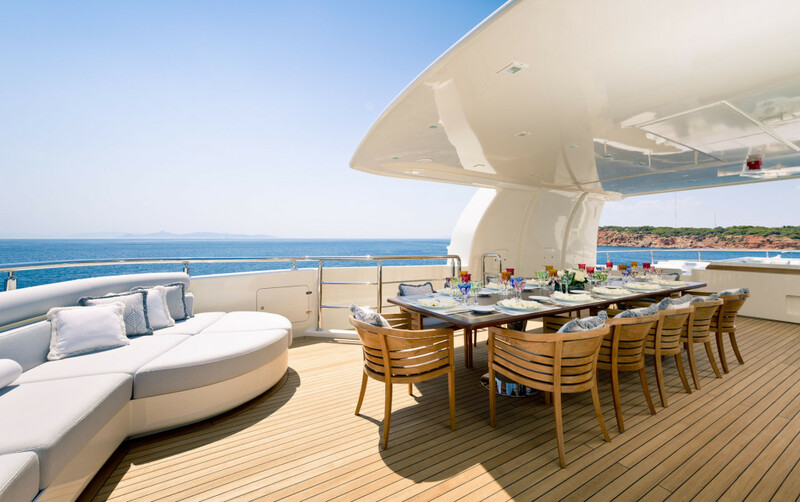 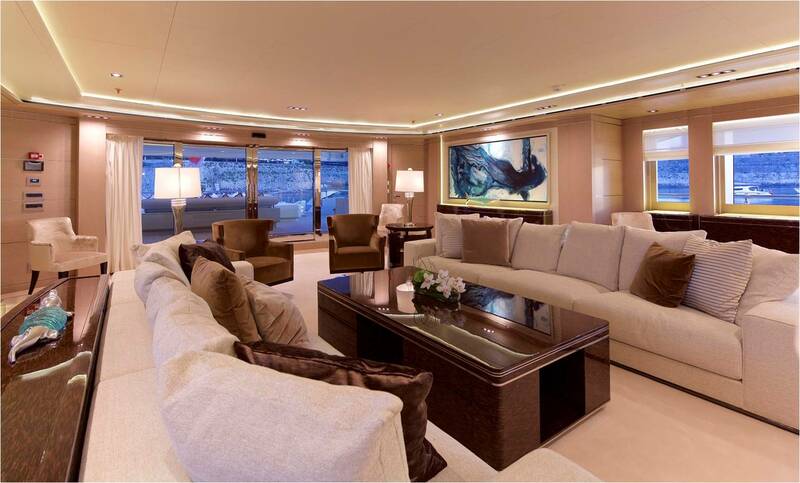 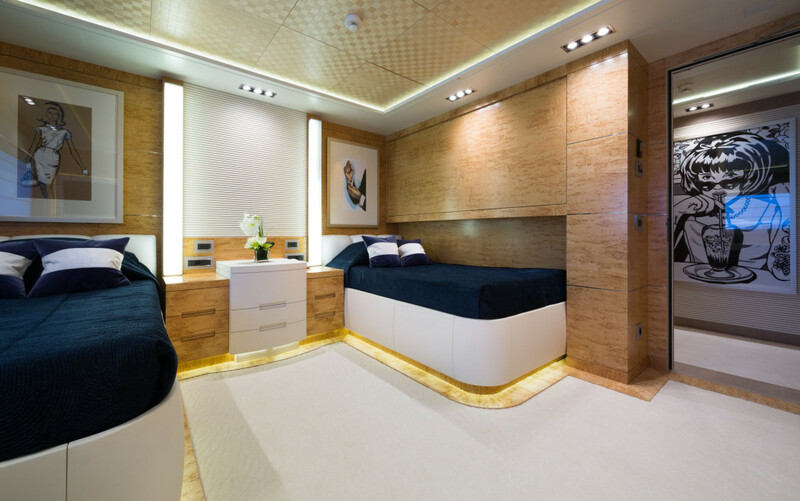 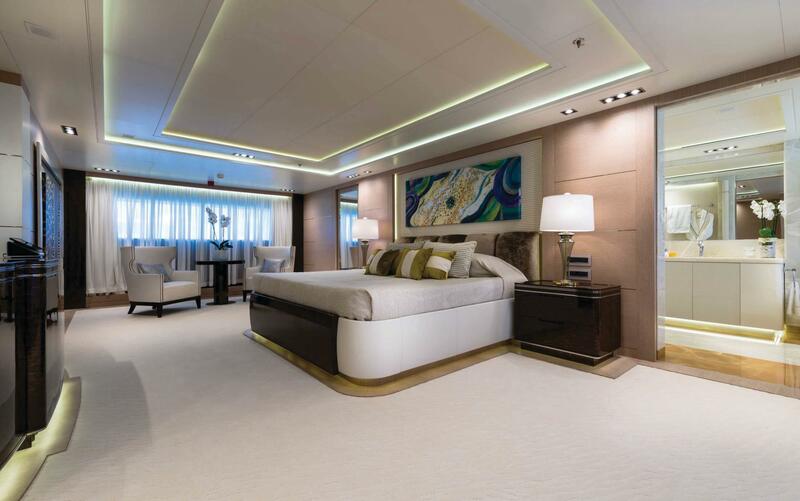 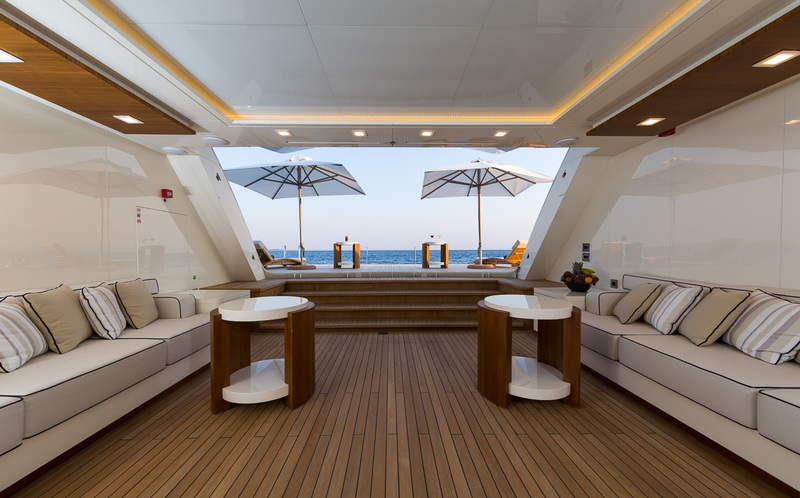 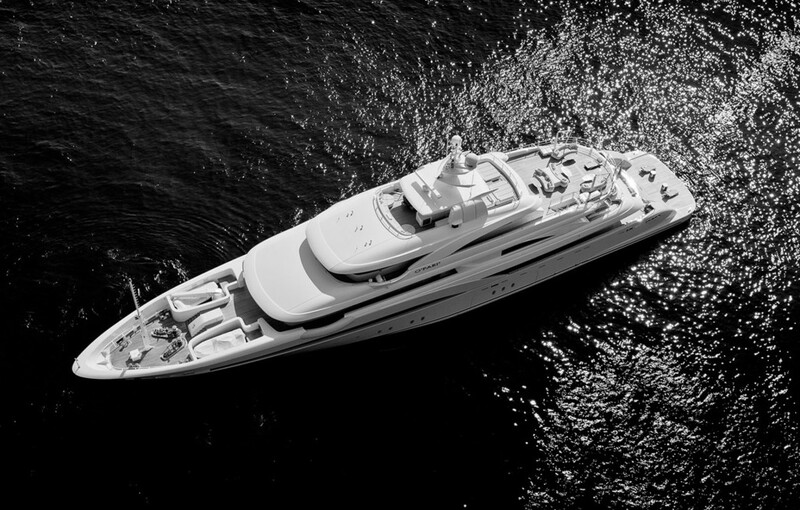 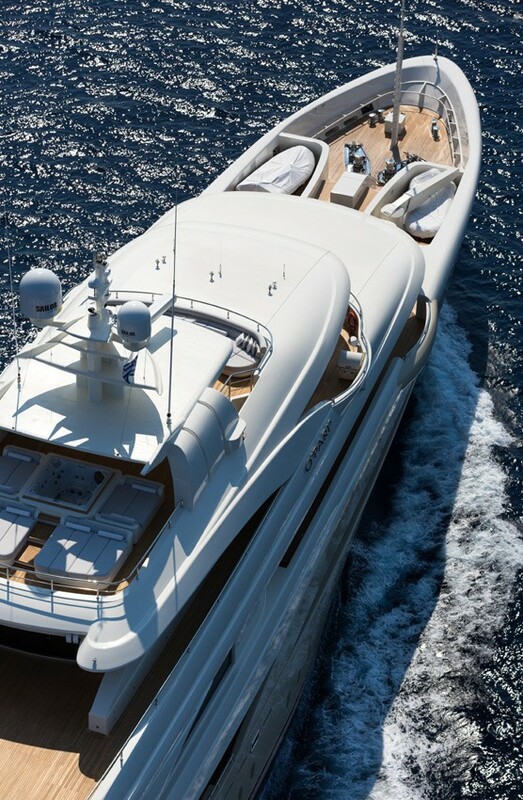 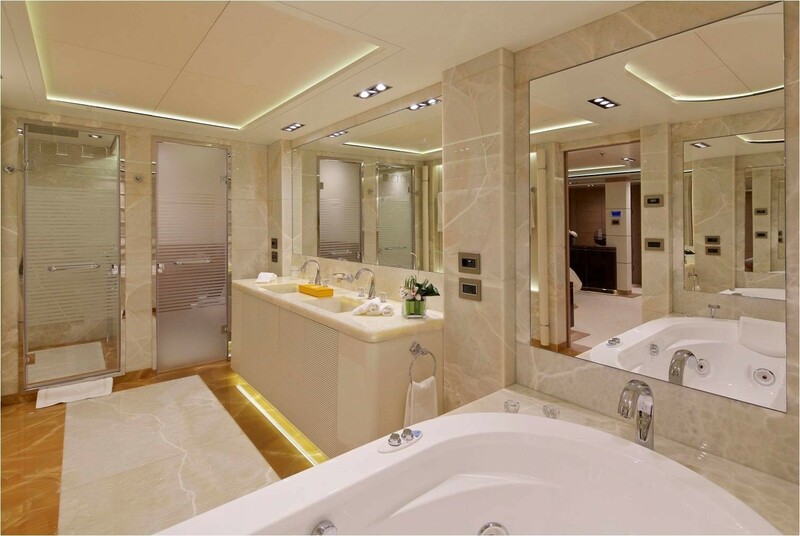 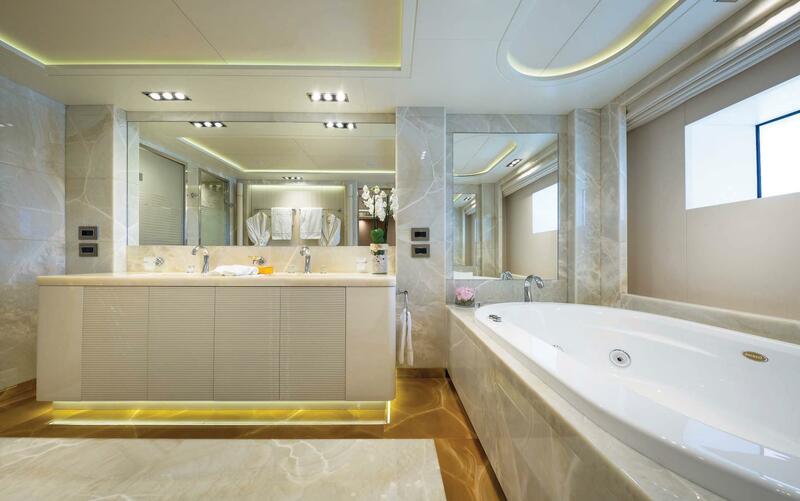 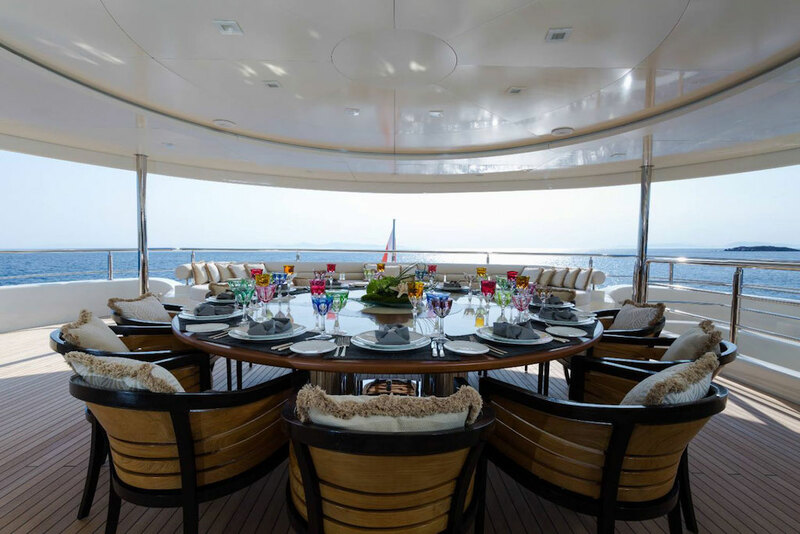 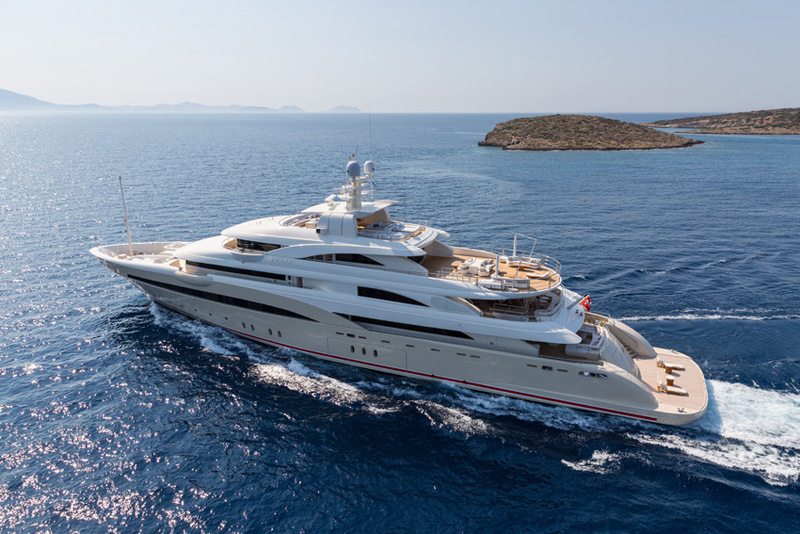 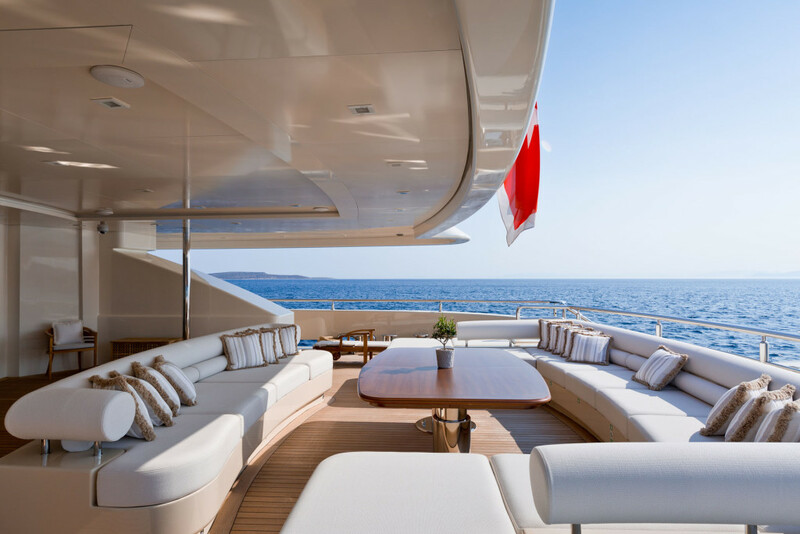 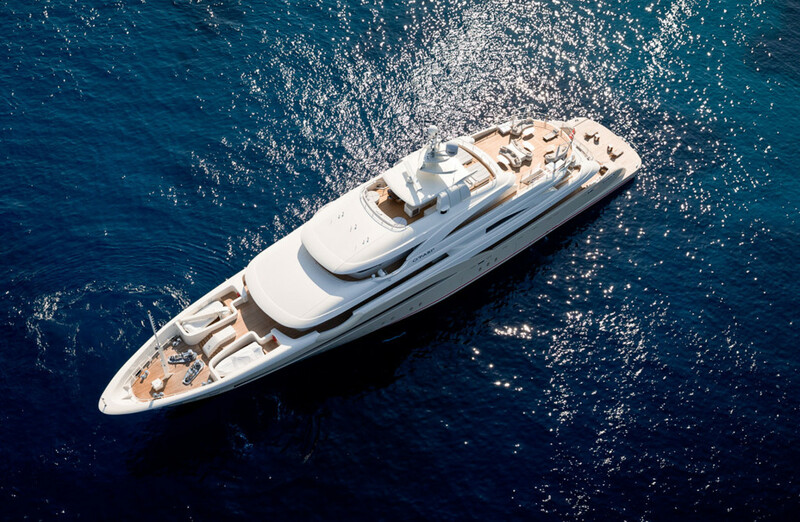 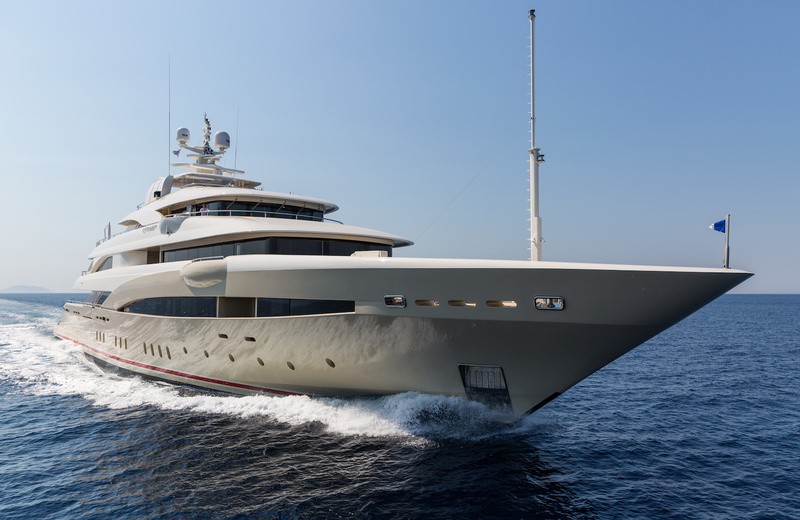 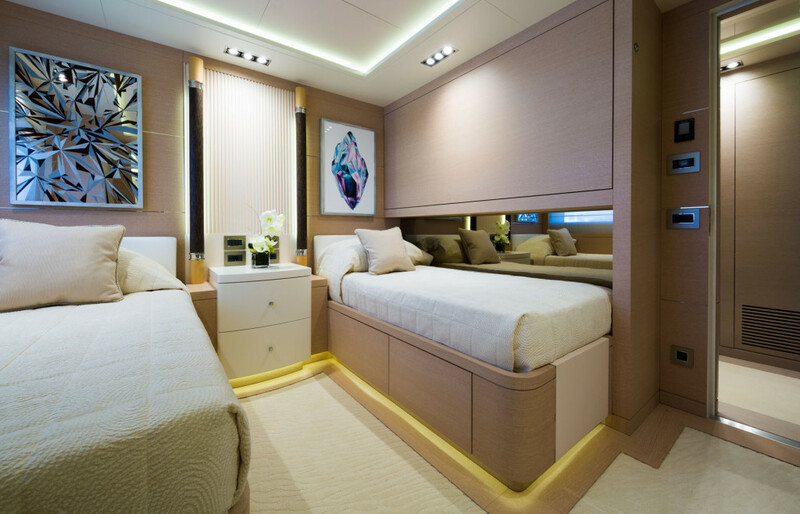 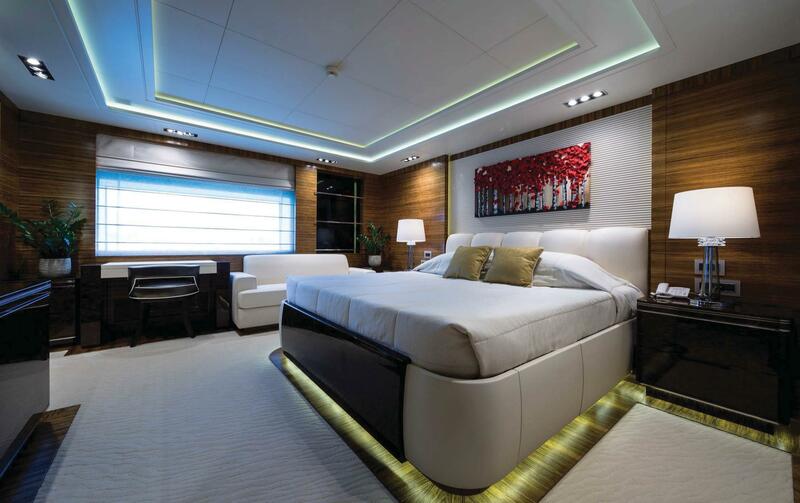 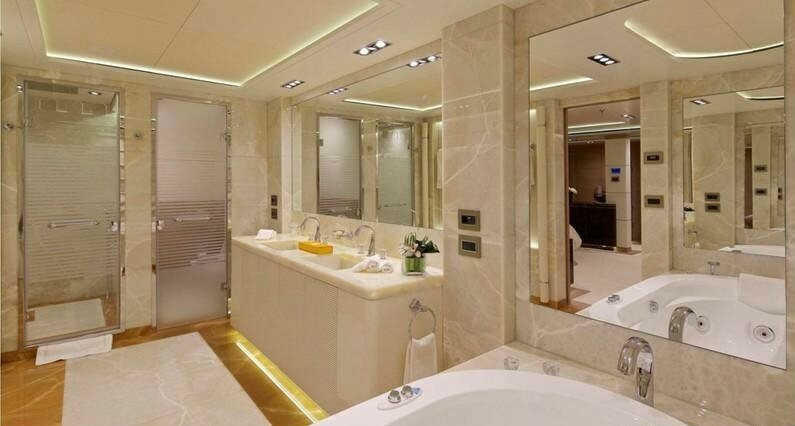 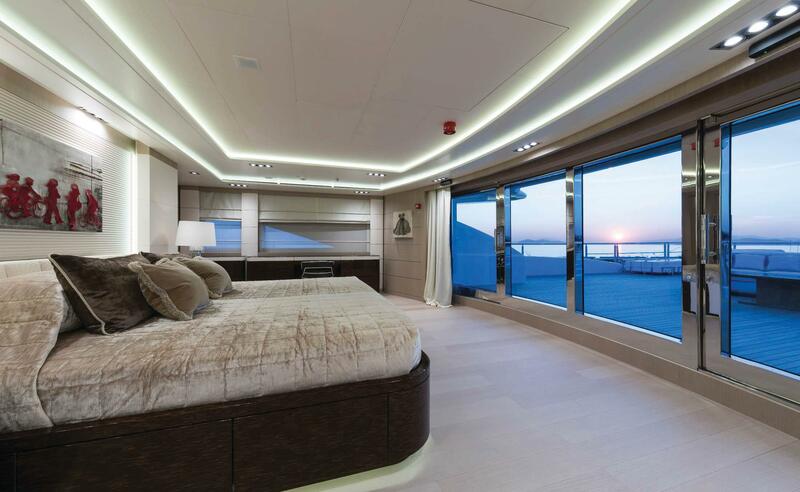 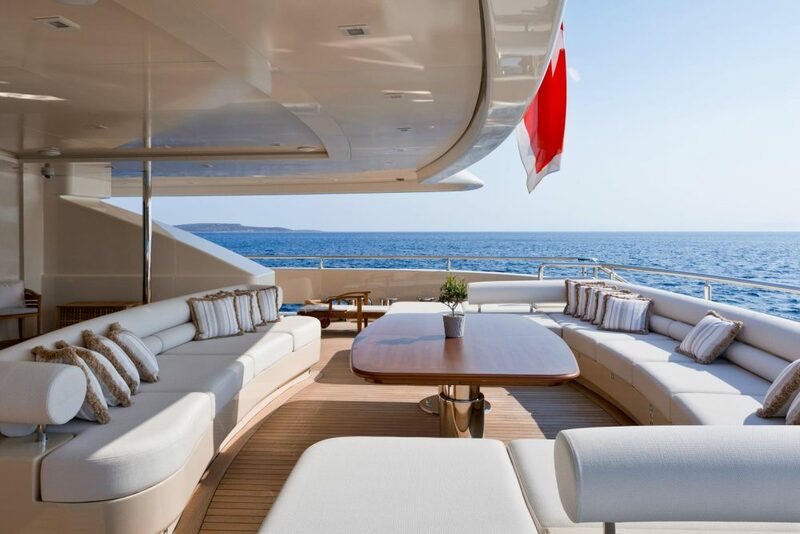 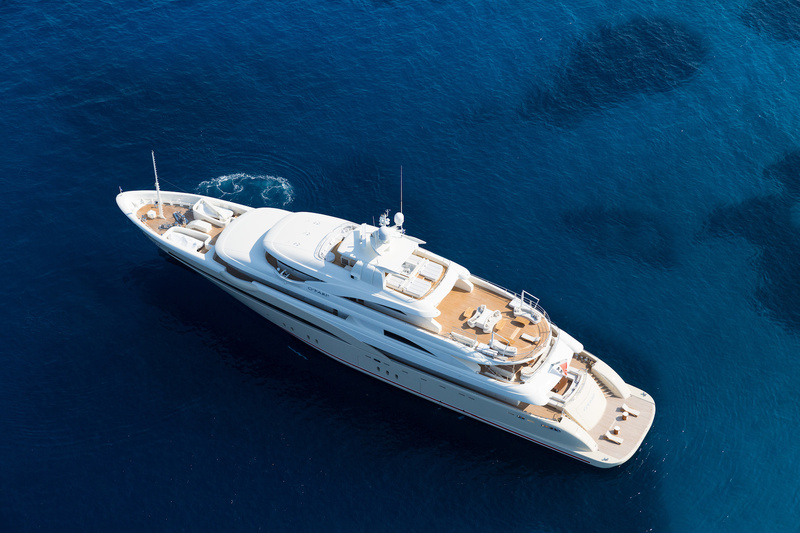 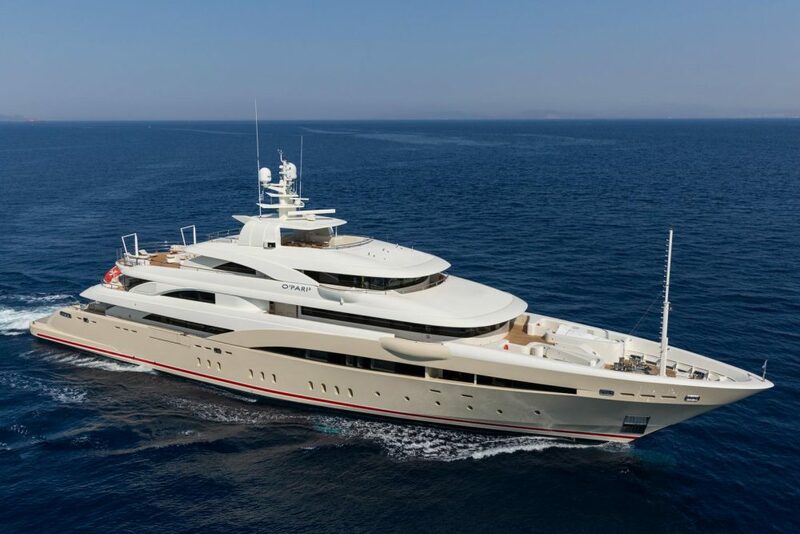 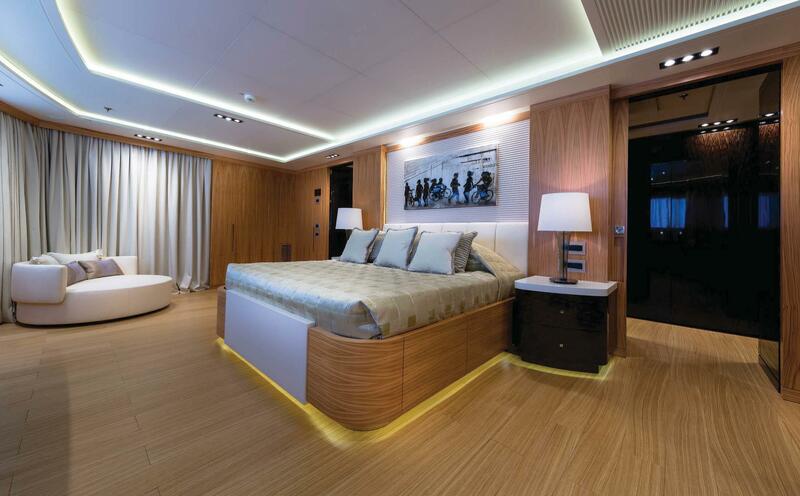 Superyacht NATALINA A’s interiors are light, airy and elegantly appointed. 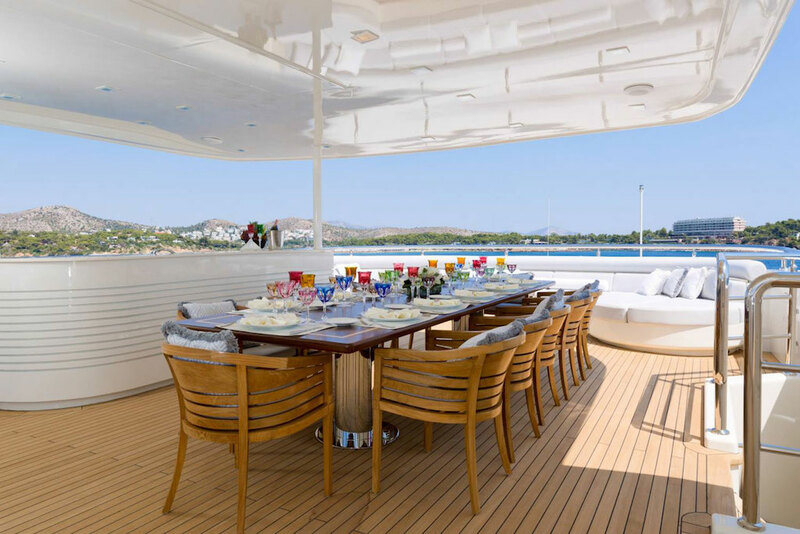 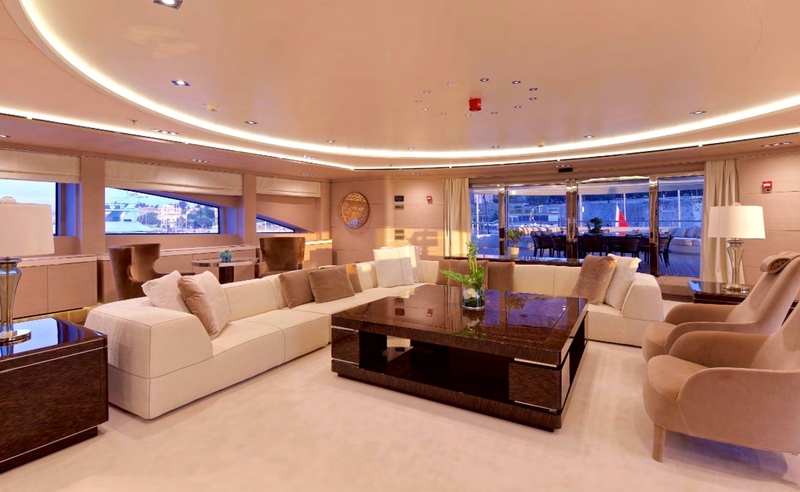 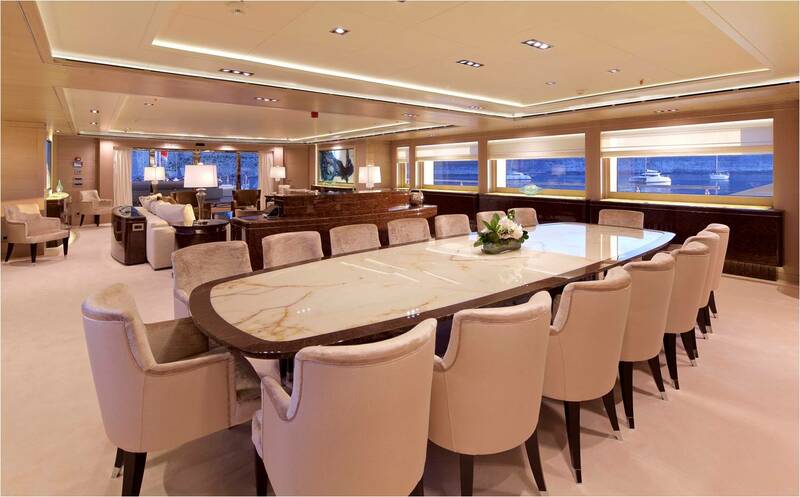 On the main deck, the open plan salon and dining area are ideal for entertaining and relaxing. 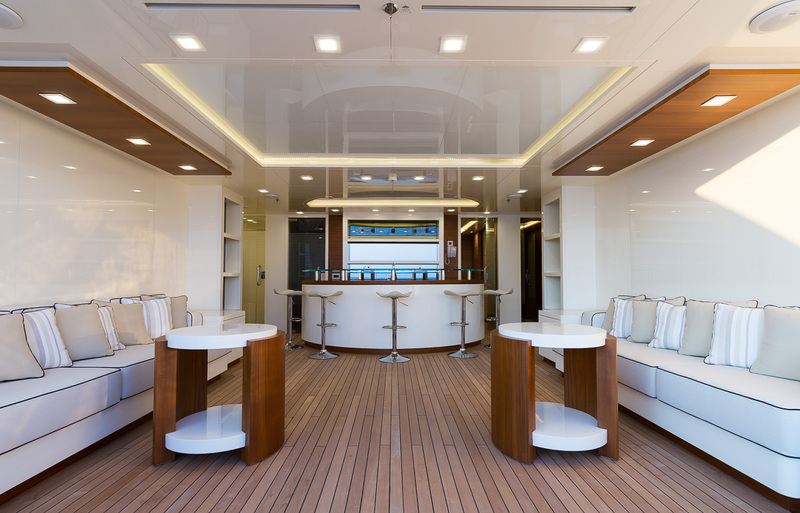 Thanks to surrounding panoramic windows and wide aft sliding doors, this space receives ample natural light. 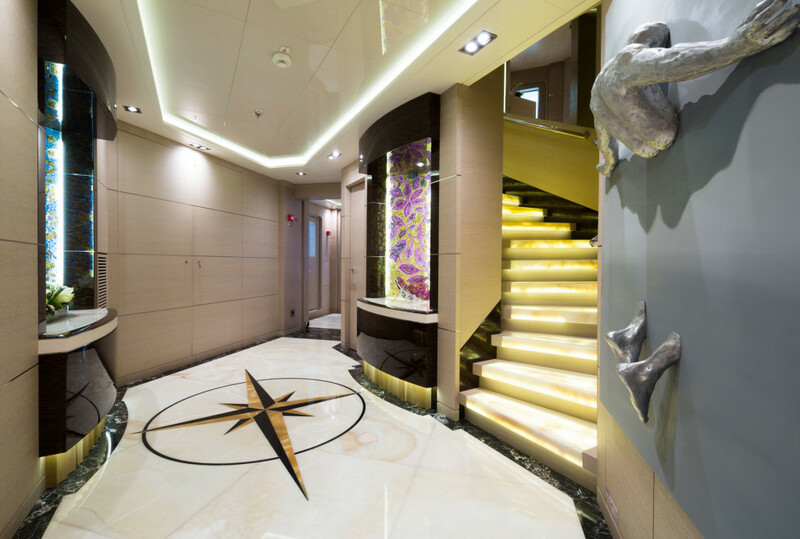 A foyer on the main deck leads to the well-equipped gym. 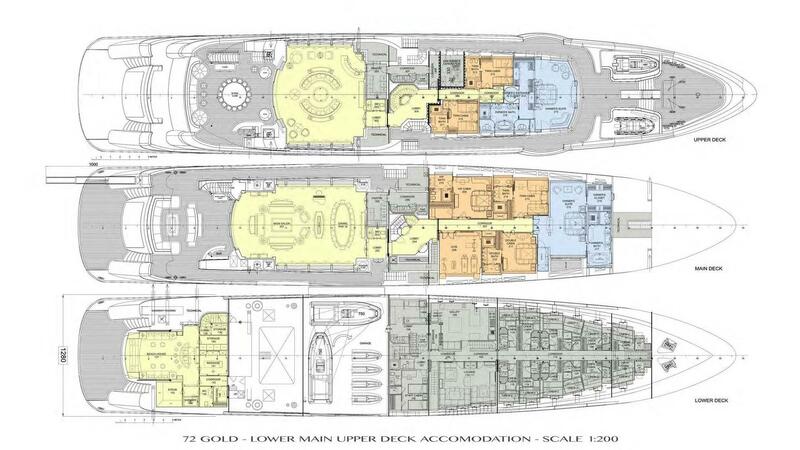 Further forward on the main deck are 2 VIP cabins, 1 twin cabin, and a full beam master cabin. 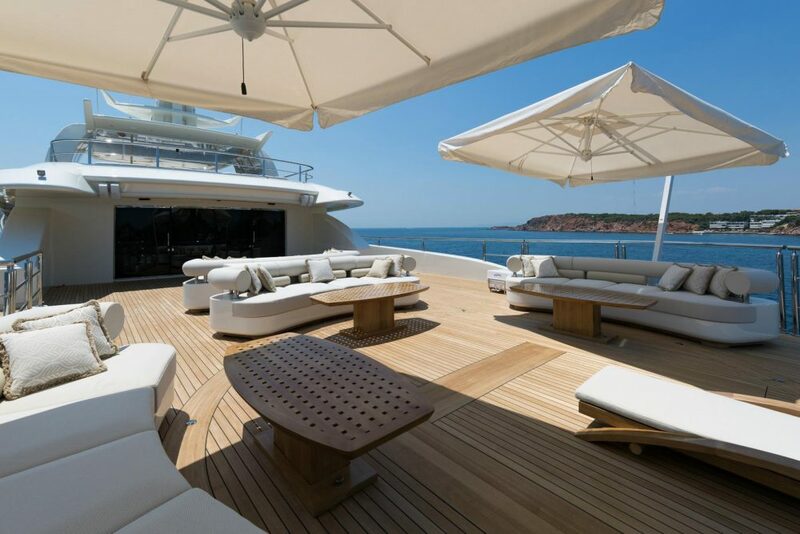 An upper deck offers a generous lounge perfect for any social occasion, providing plenty of plush seating and coffee tables. 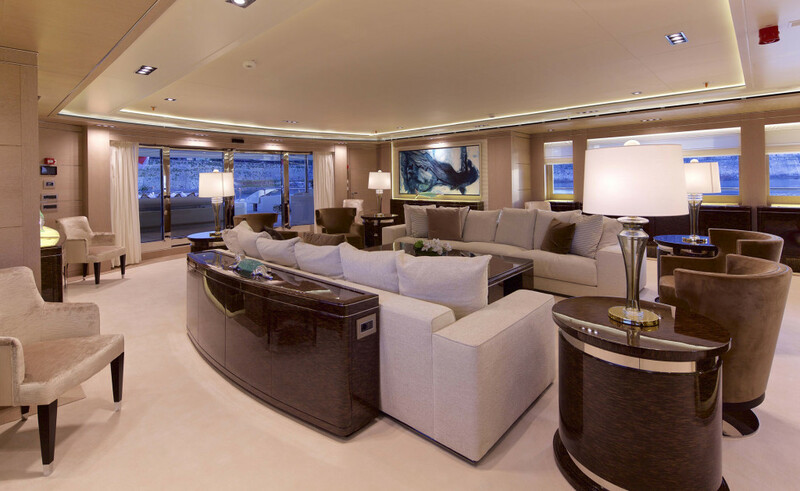 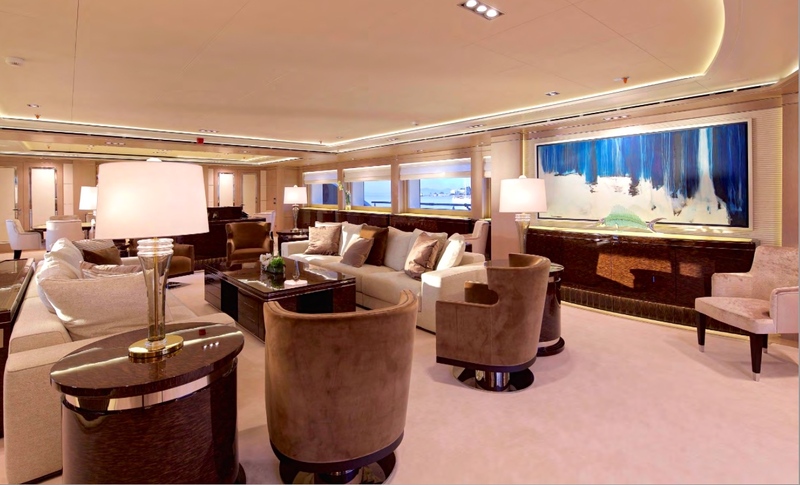 The upper salon lounge foyer leads to 2 twin cabins and a full beam master suite forward. 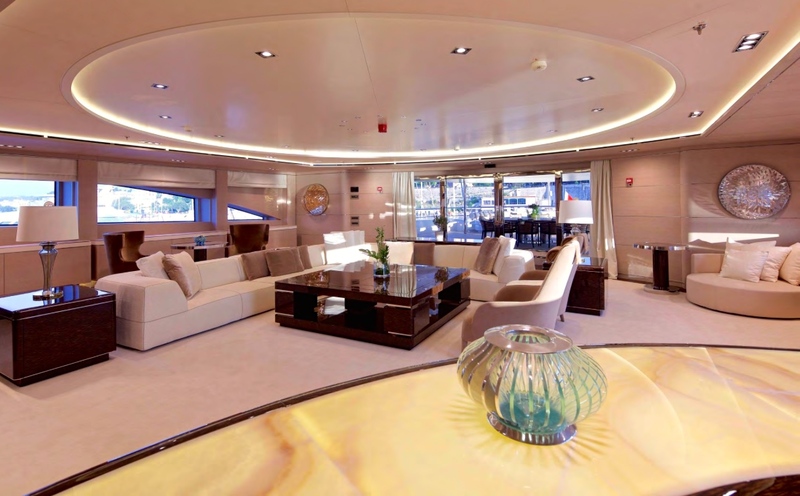 On the bridge deck aft of the pilot house, is a further master cabin, boasting its own private balcony. 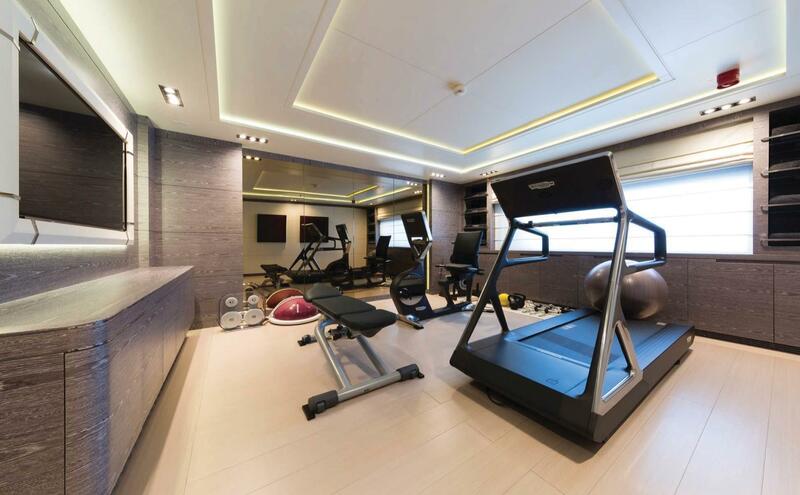 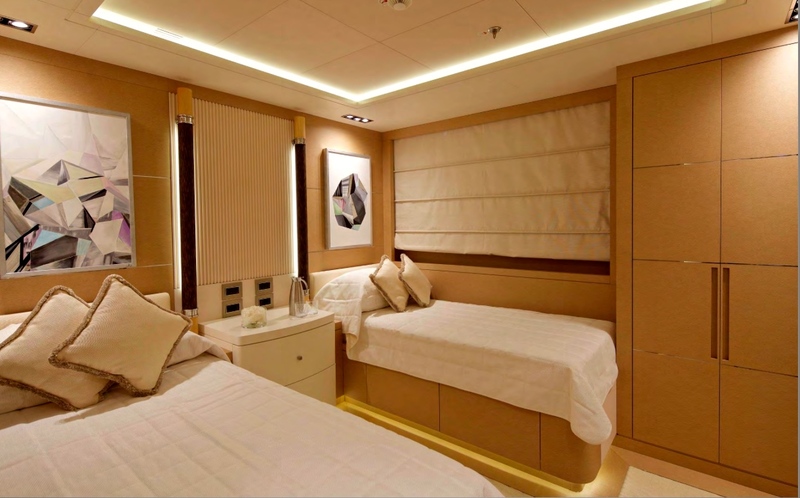 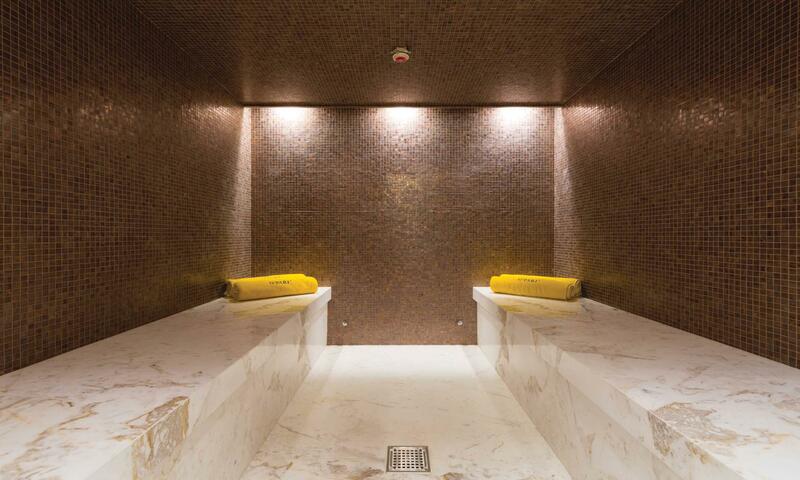 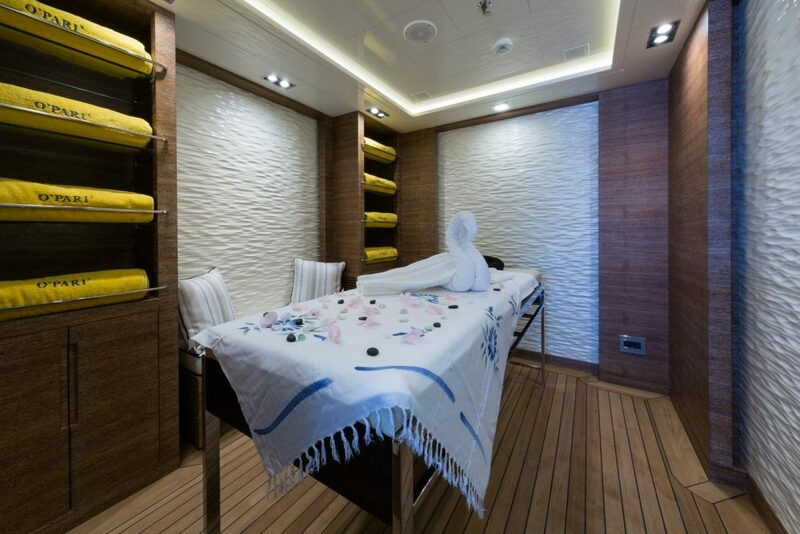 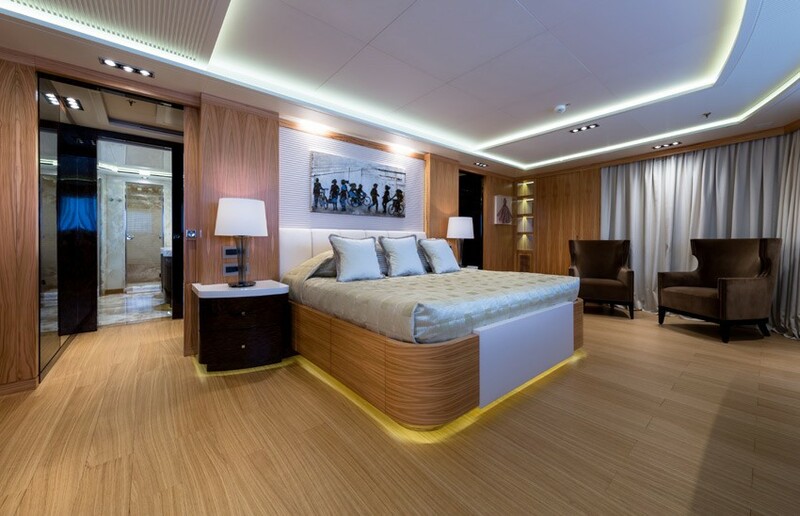 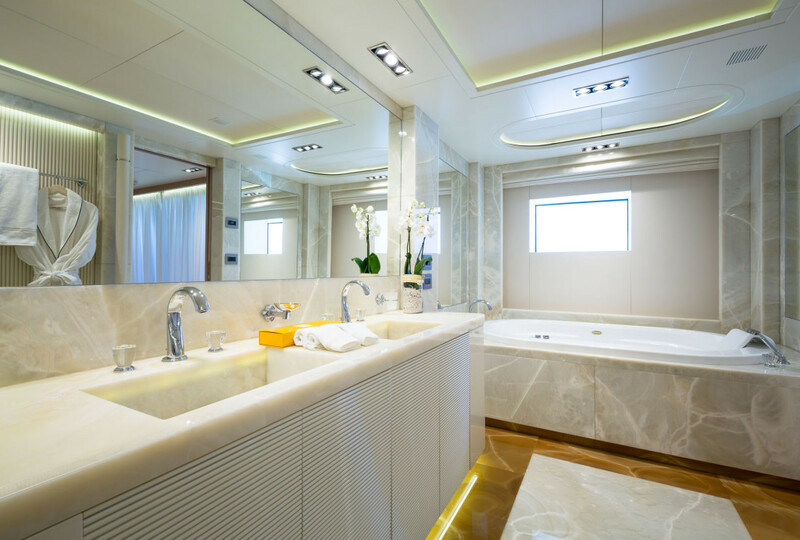 The lower deck offers one twin cabin amidships, while aft is the steam room and massage room. 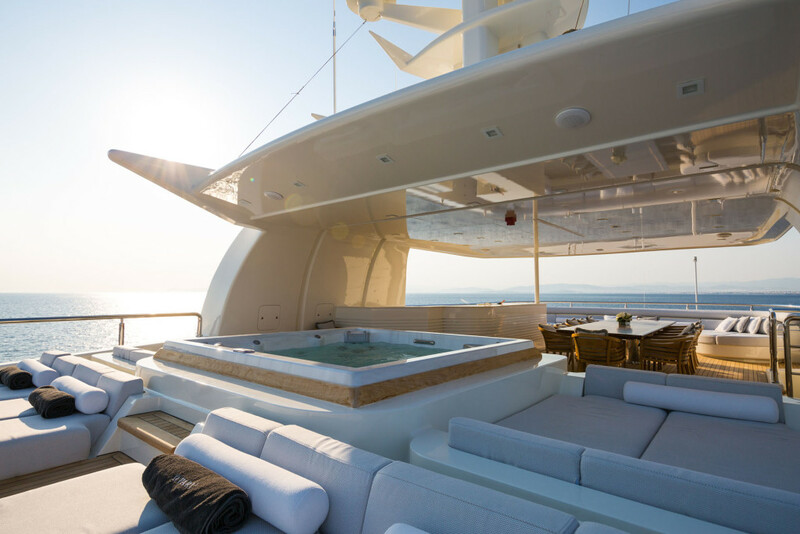 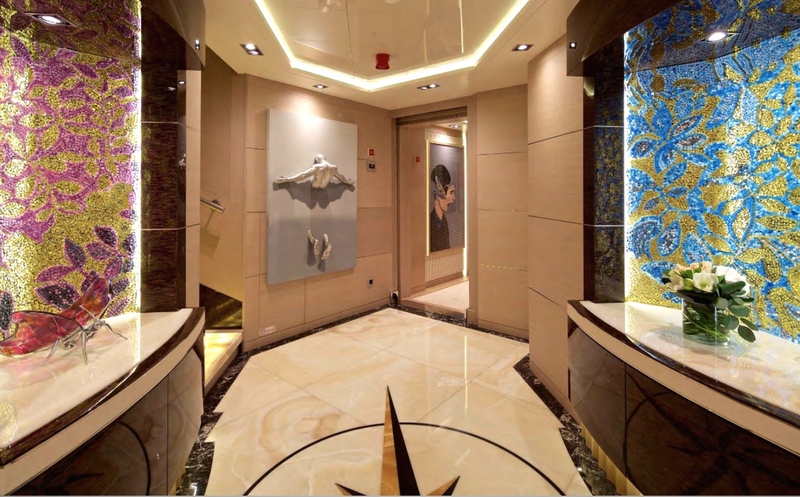 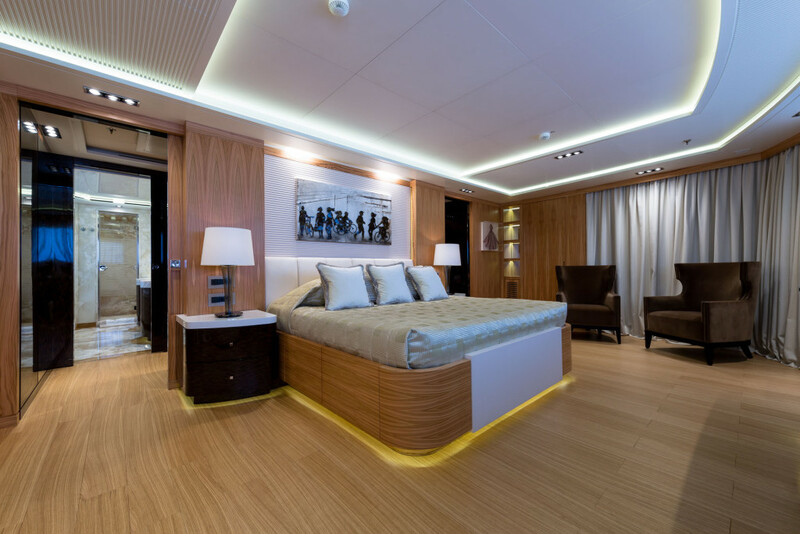 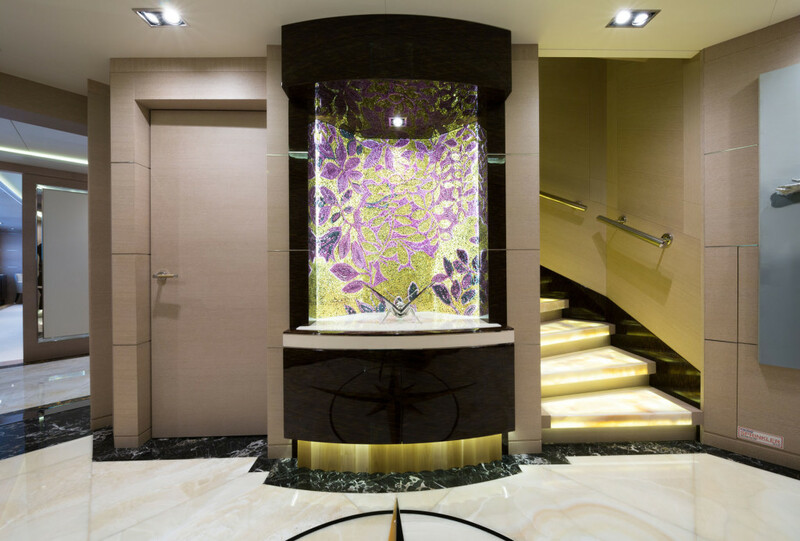 Motor yacht NATALINA A’s interior design opulent yet reserved, the luxurious finishes, paired with a contemporary styling, have created a timeless ambiance. 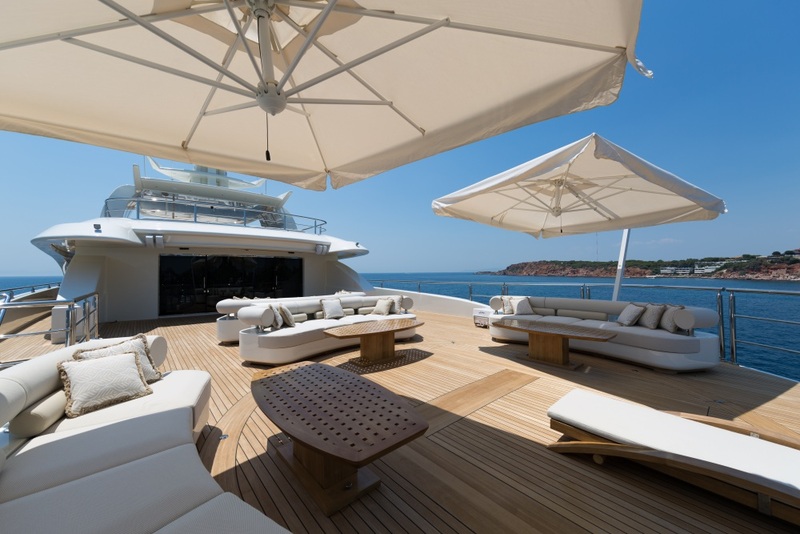 Exterior living aboard the Golden Yacht NATALINA A is generous. 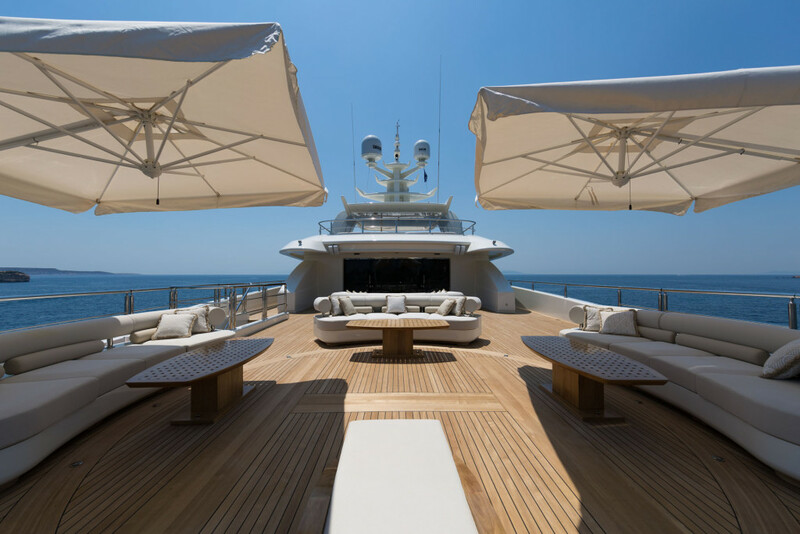 The main deck aft is partially shaded and features an alfresco dining table, exterior seating, and a fabulous social atmosphere. 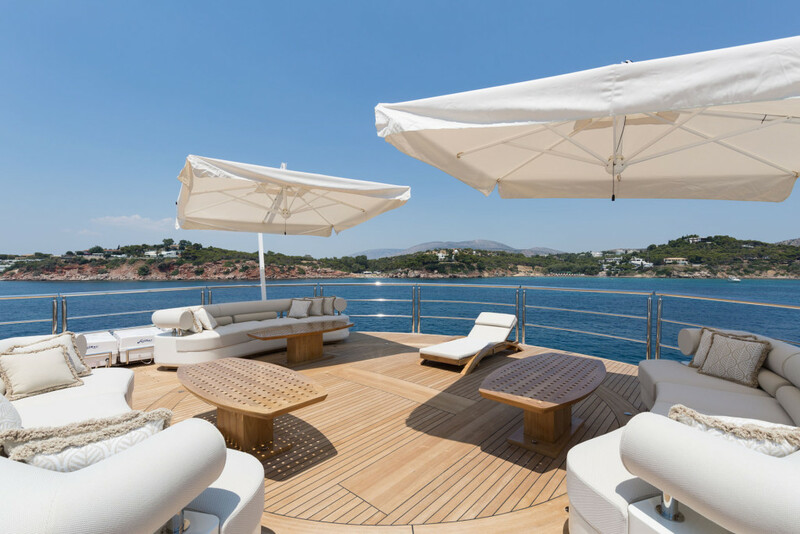 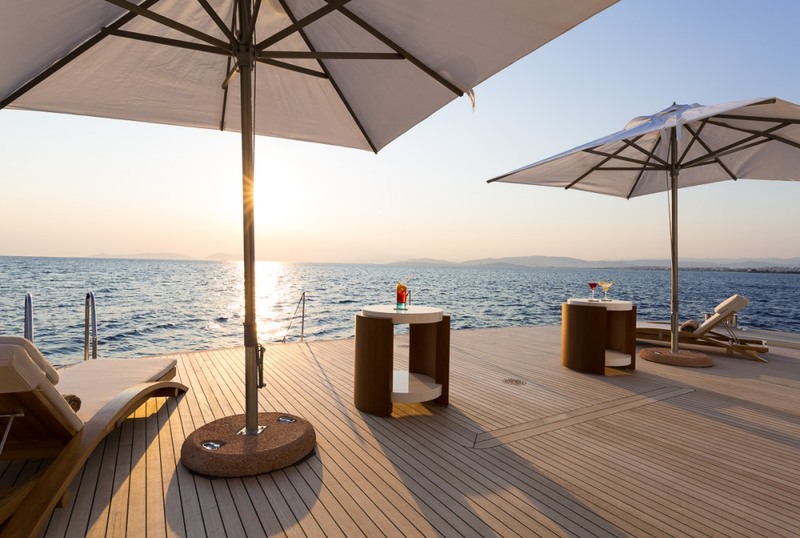 On the transom is a large teak beach, complete with a wet bar, spa room, sun loungers, umbrellas, ample water toys and wide steps ensuring effortless water access. 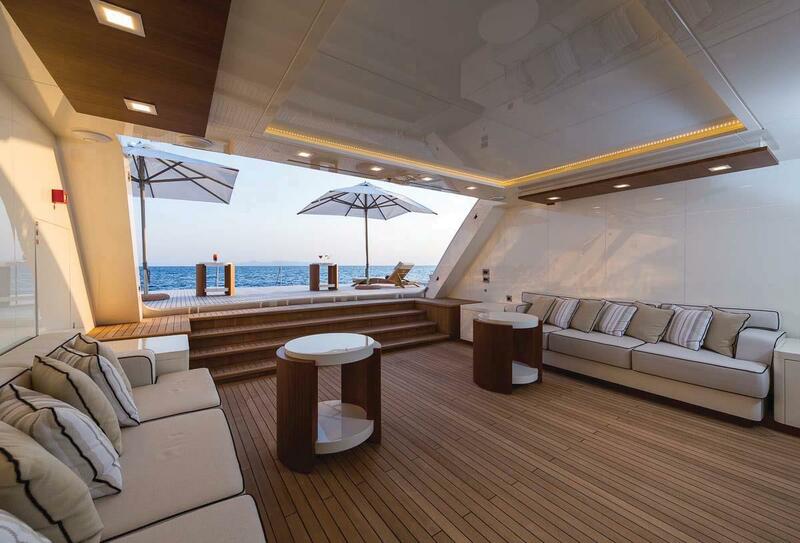 The upper deck aft has partial shade and an alfresco dining option. 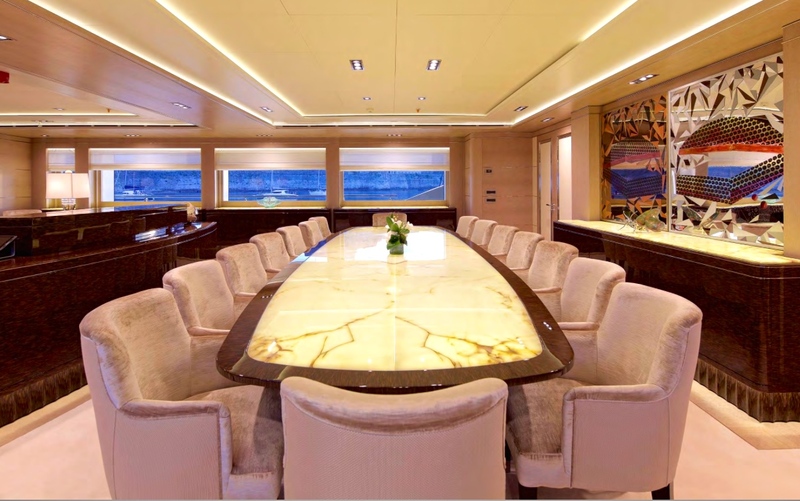 With direct access to the upper salon, the upper deck is ideal for casual or formal events. 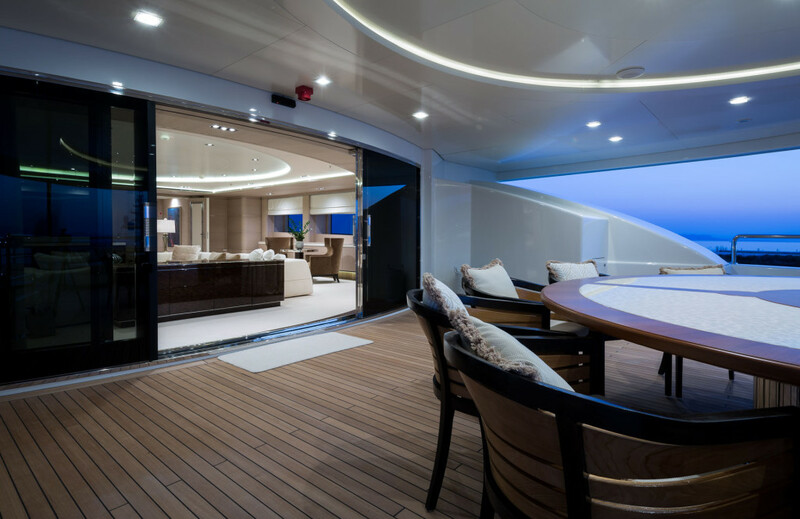 On the bridge deck aft is a private balcony for the master cabin, offering an exterior lounge and stunning views, followed by a touch and go Heli pad. 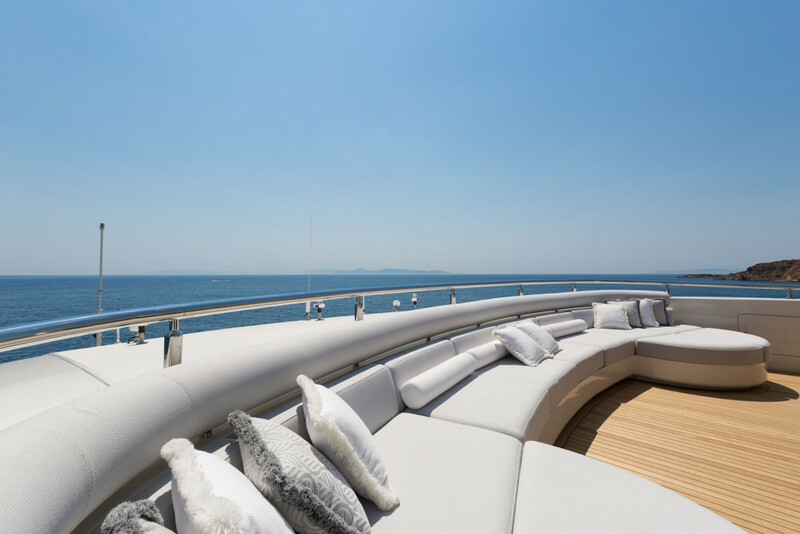 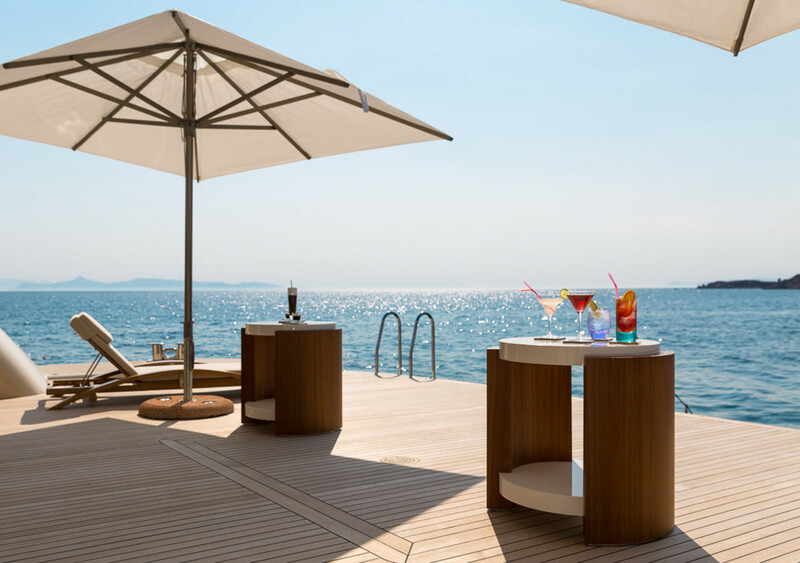 The sundeck is well-appointed and features an alfresco dining option, wet bar and BBQ station, deluxe Jacuzzi tub with surrounding sunpads and a full beam forward seating space. 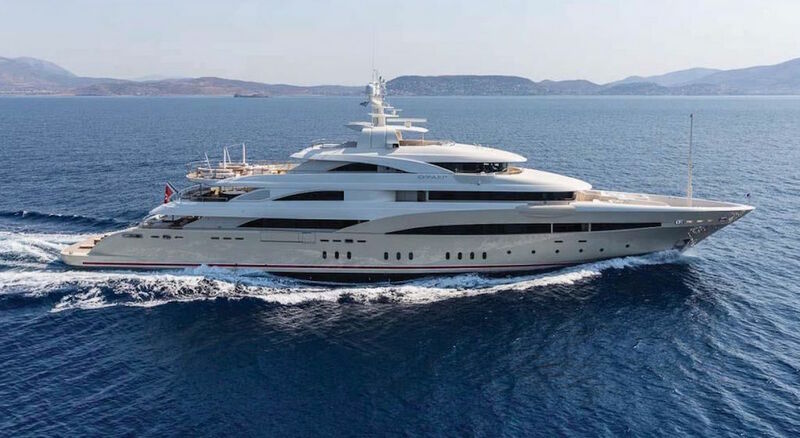 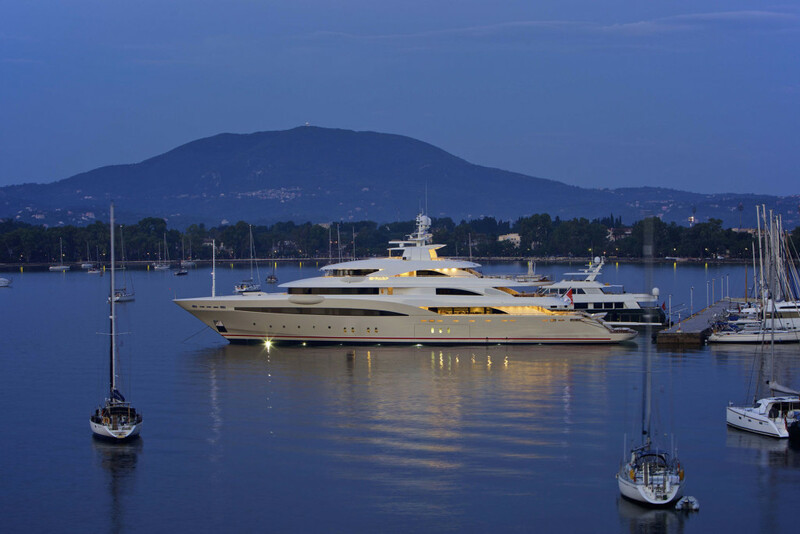 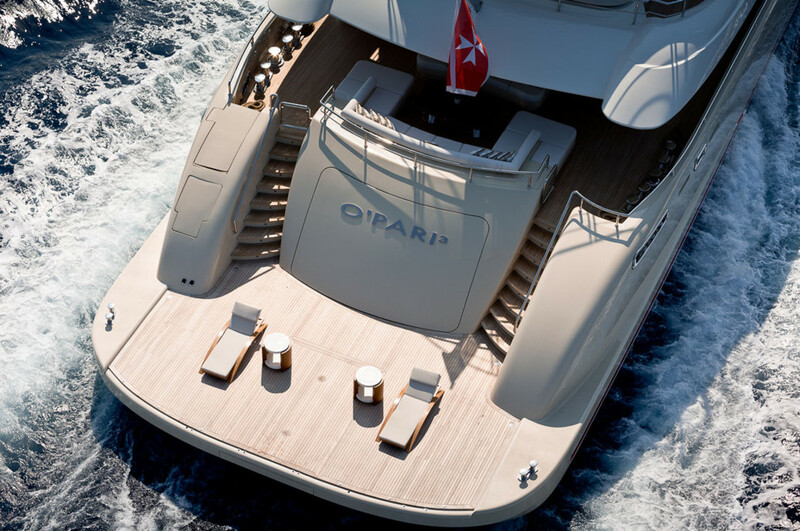 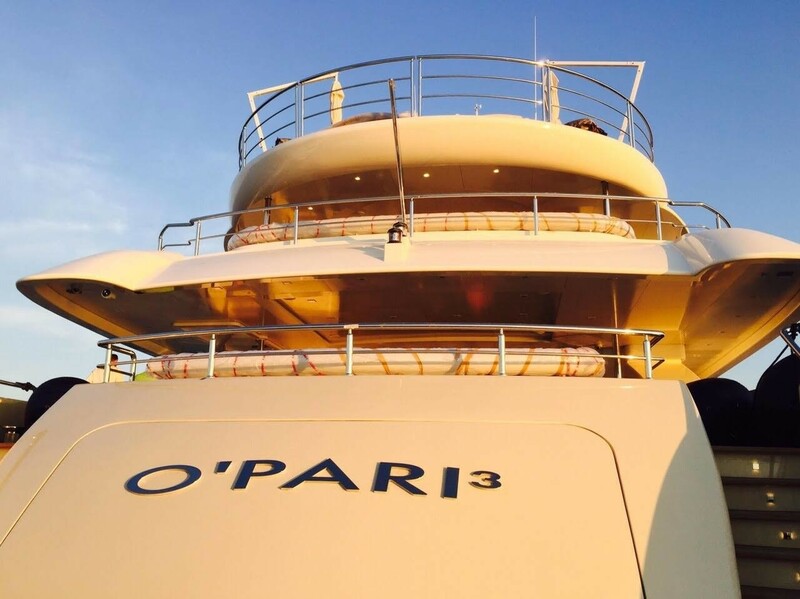 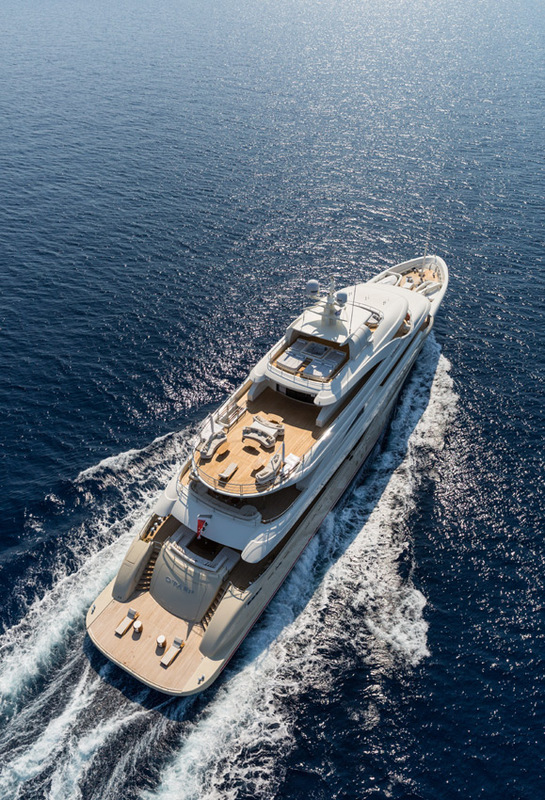 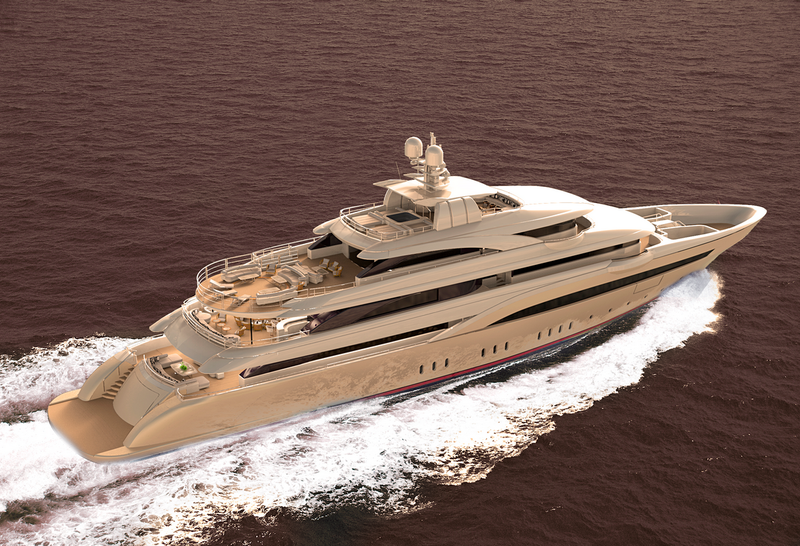 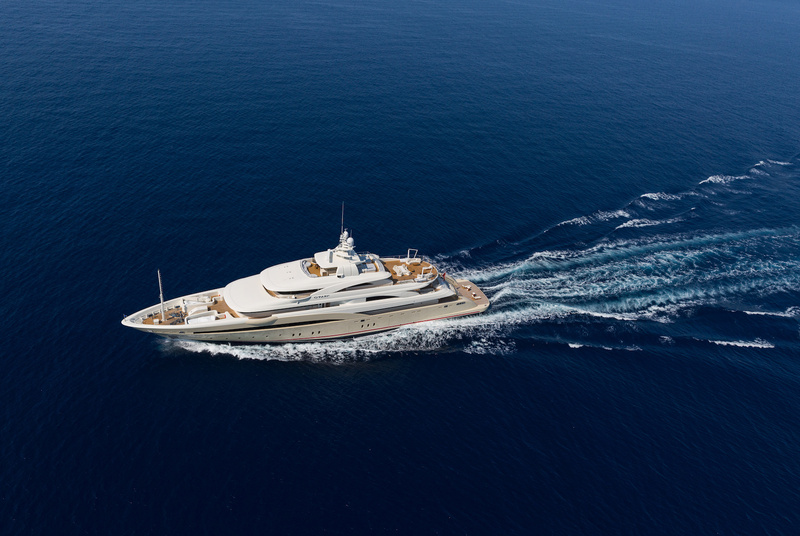 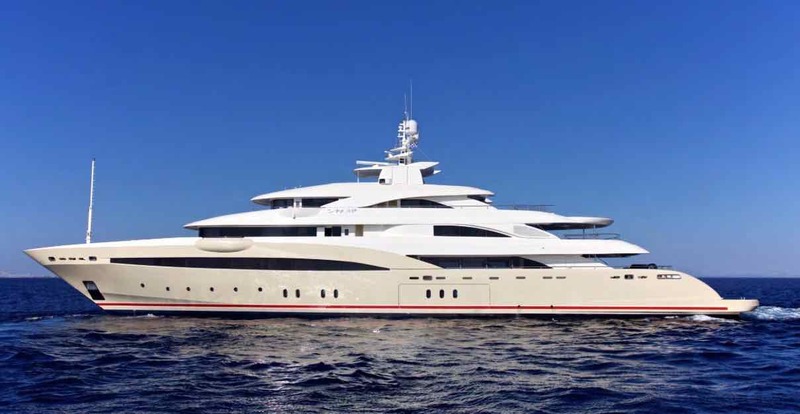 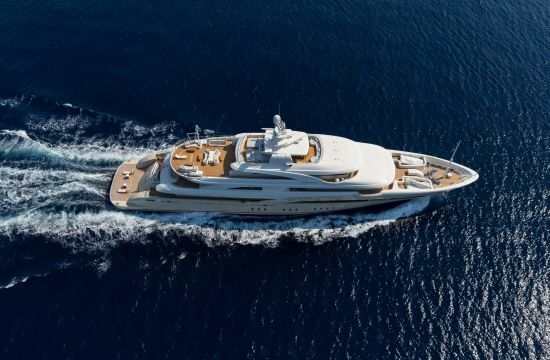 The 72m mega yacht NATALINA A (Project O'Pari II) is constructed of steel and aluminum. 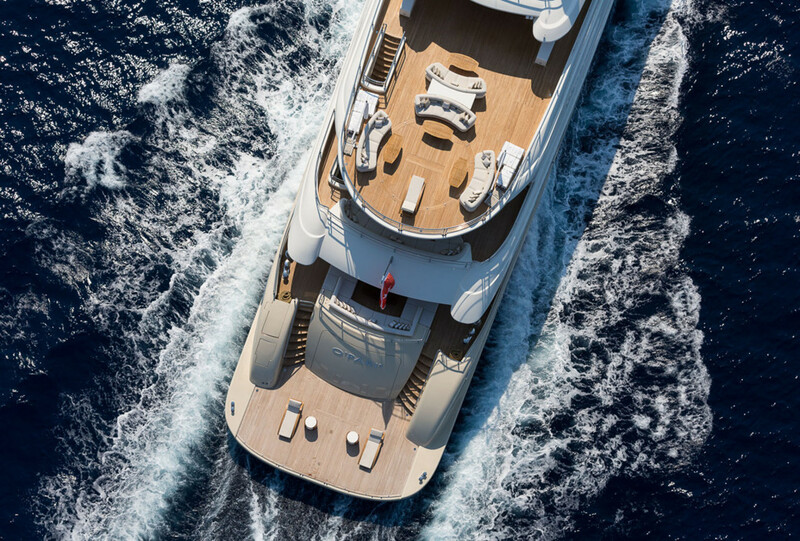 She is powered by CAT 3516-C 2350KW 1800 RPM diesel engines, offering cruising speeds of 15.5 knots and top speeds of 18 knots. 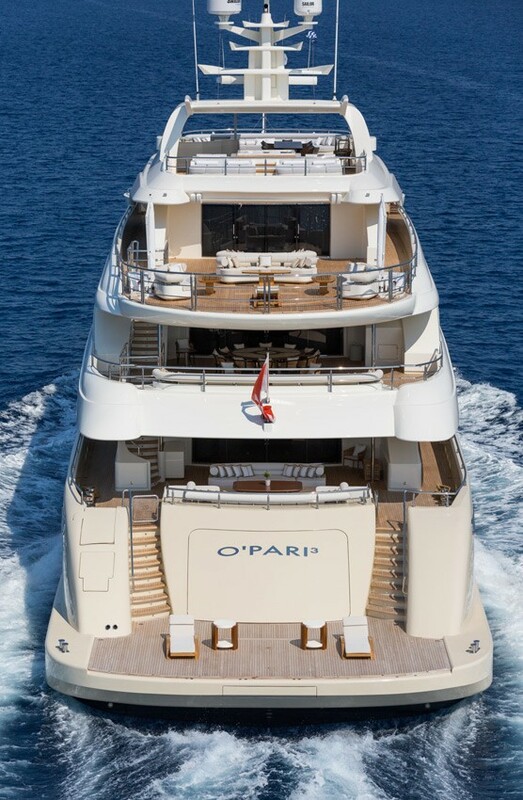 State of the art at anchor and underway stabilizers ensure optimum comfort. 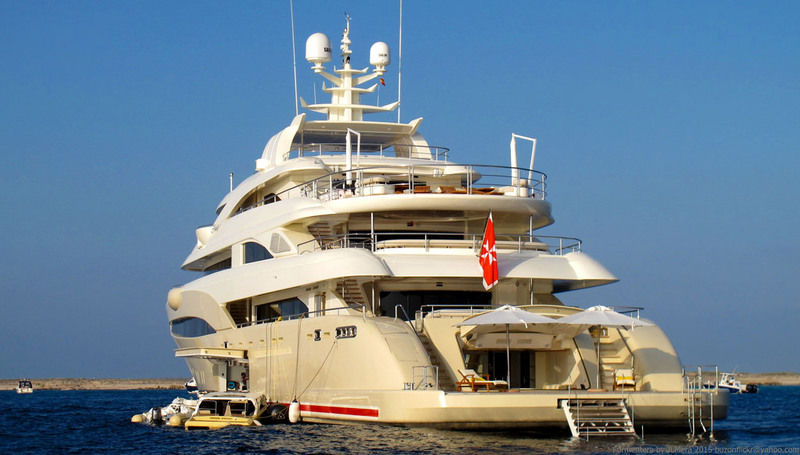 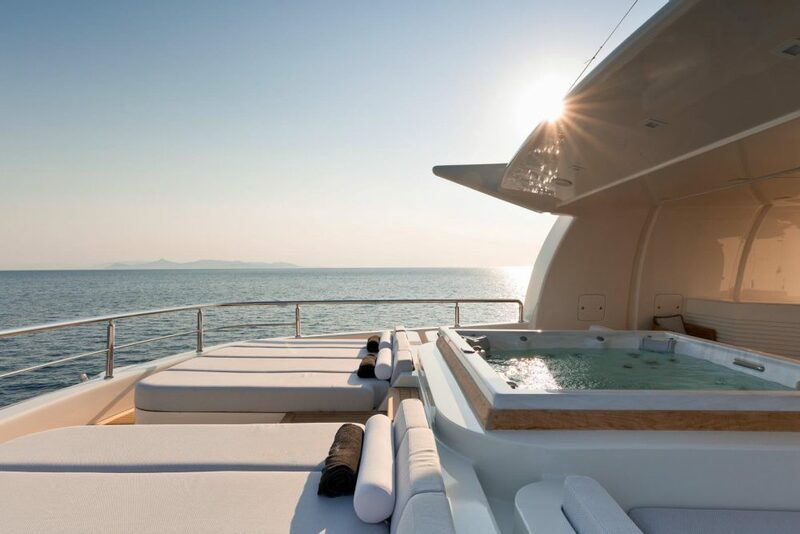 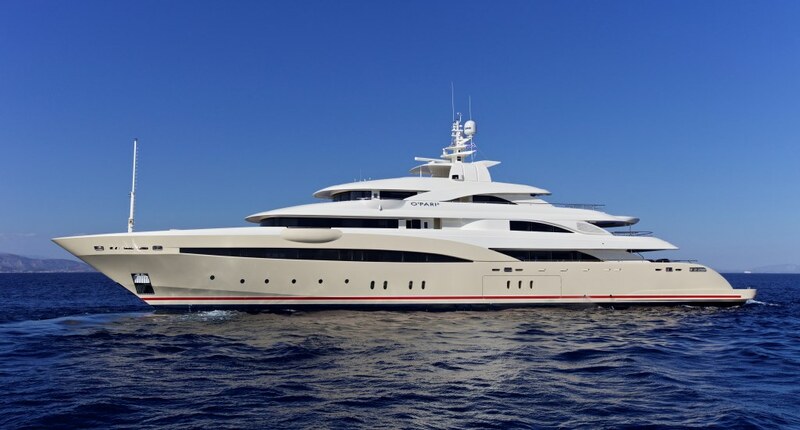 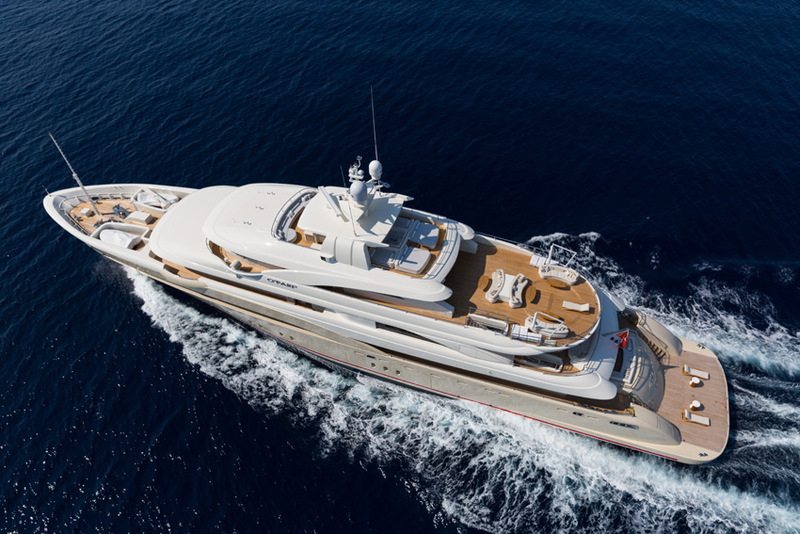 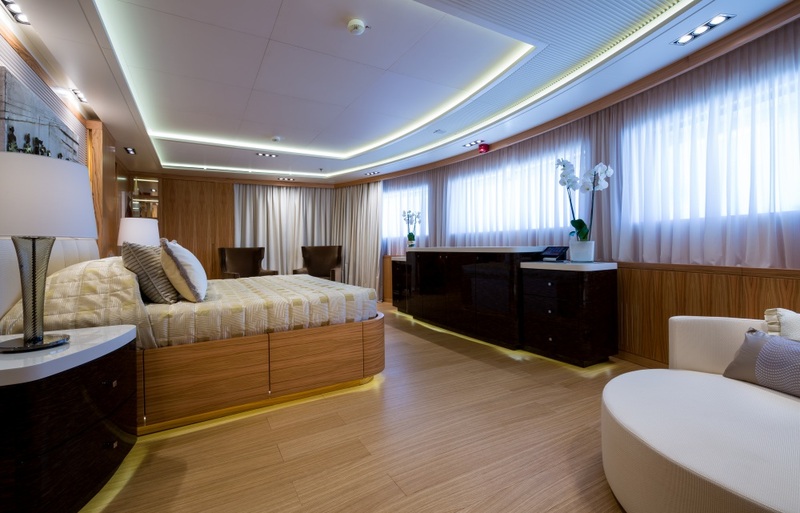 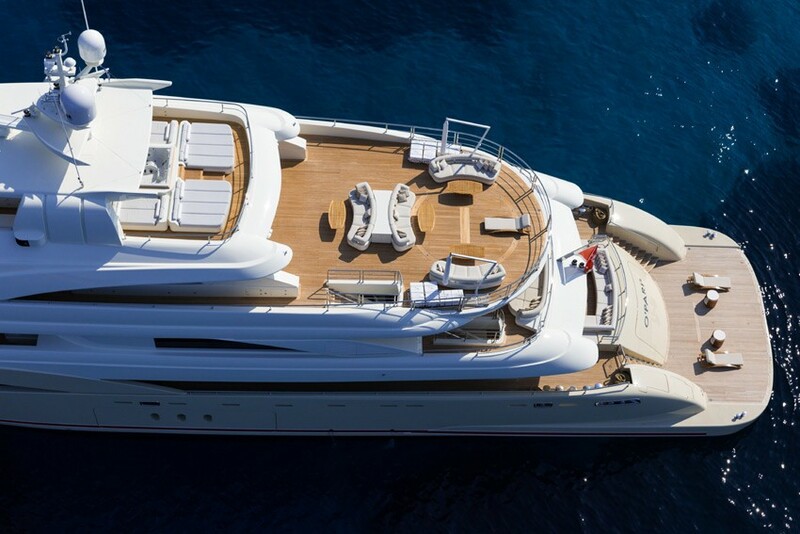 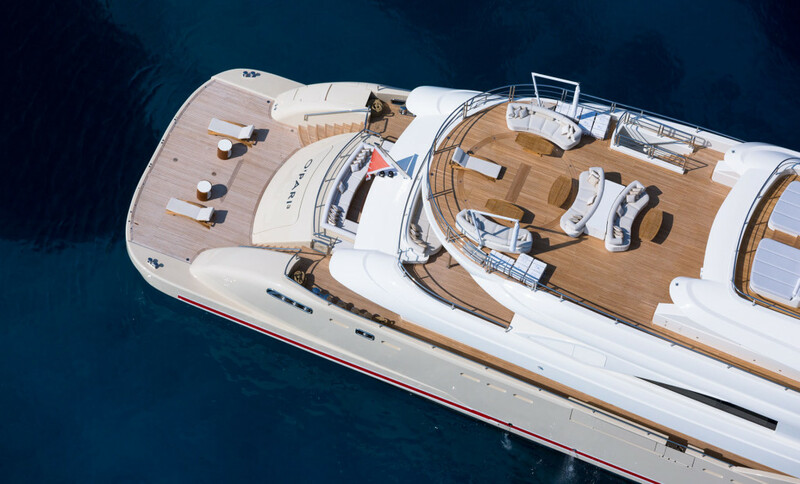 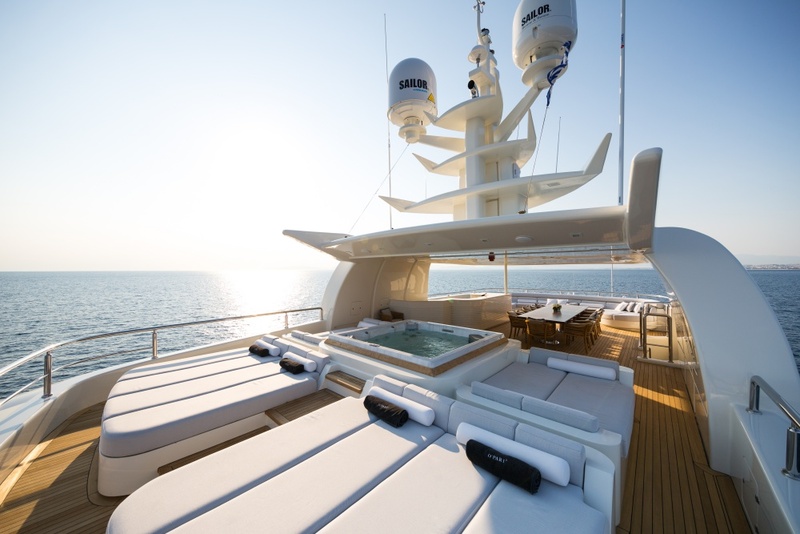 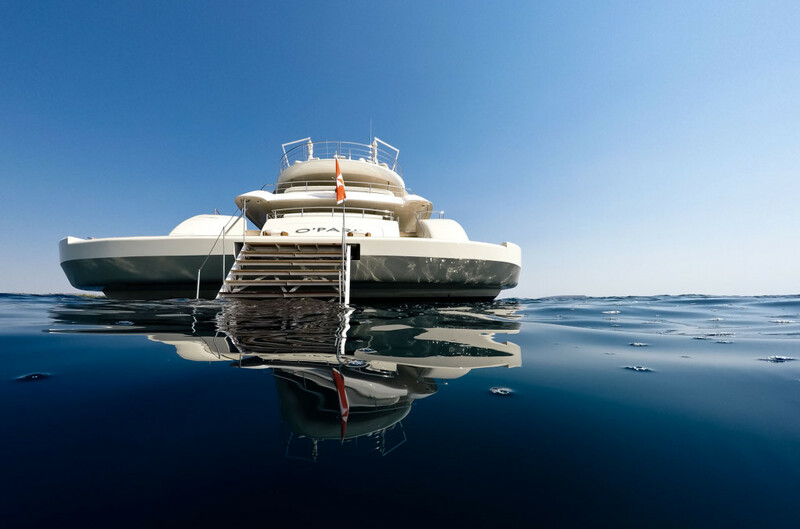 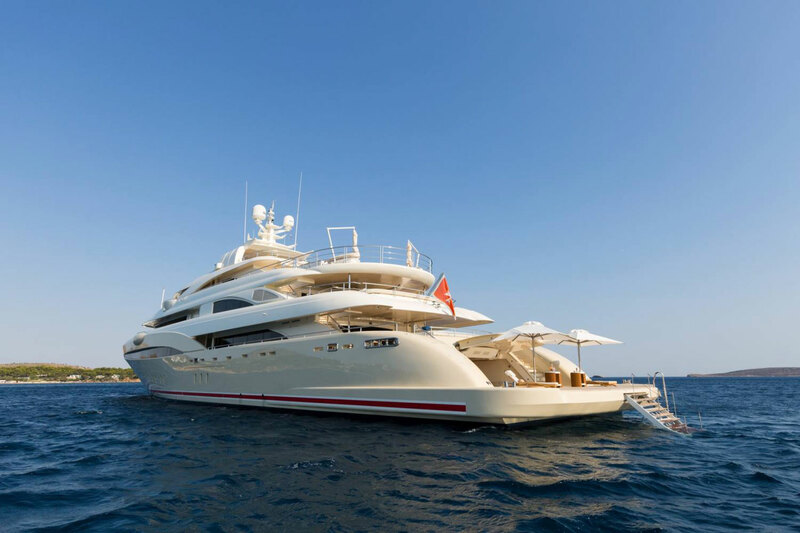 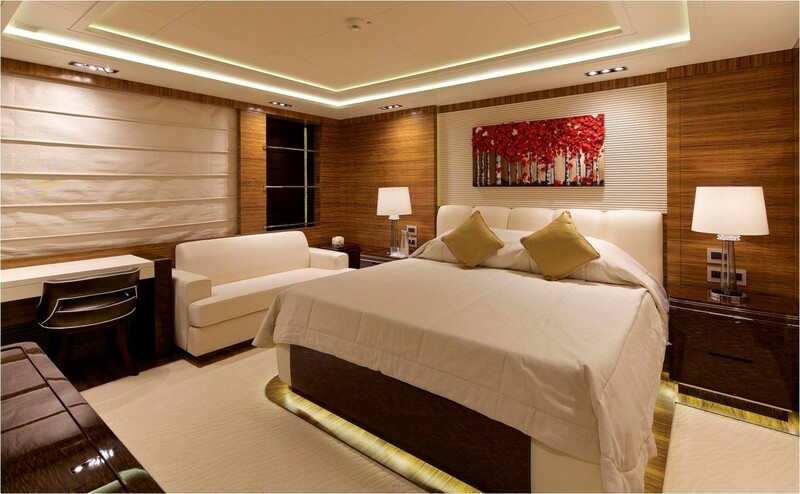 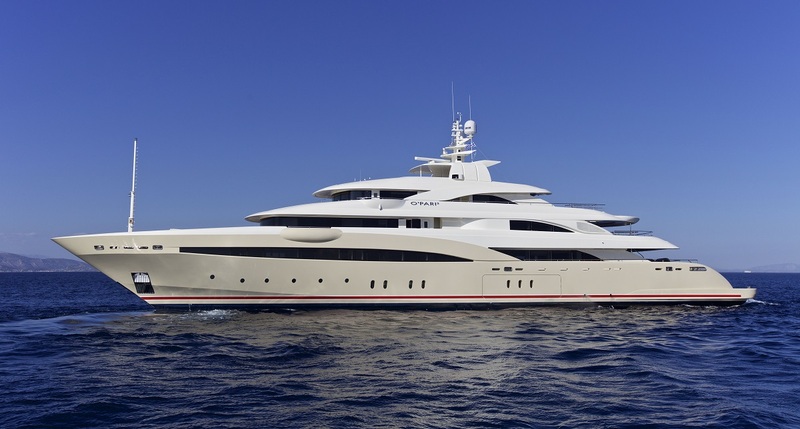 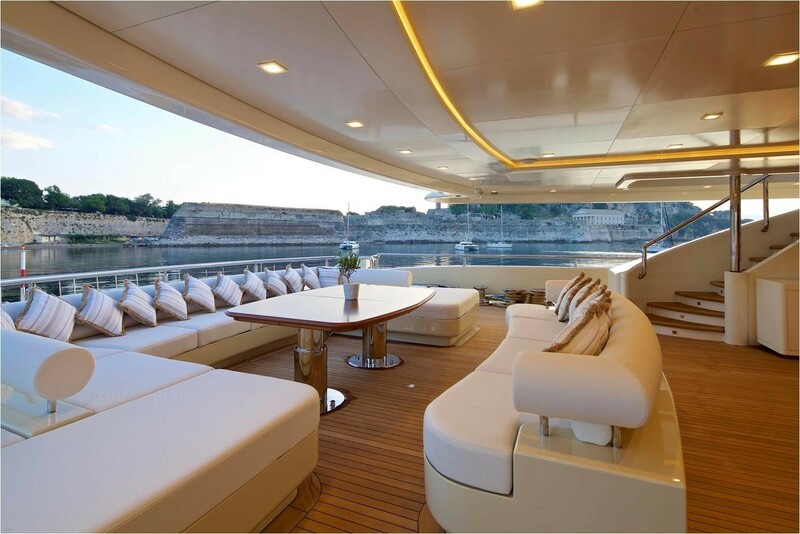 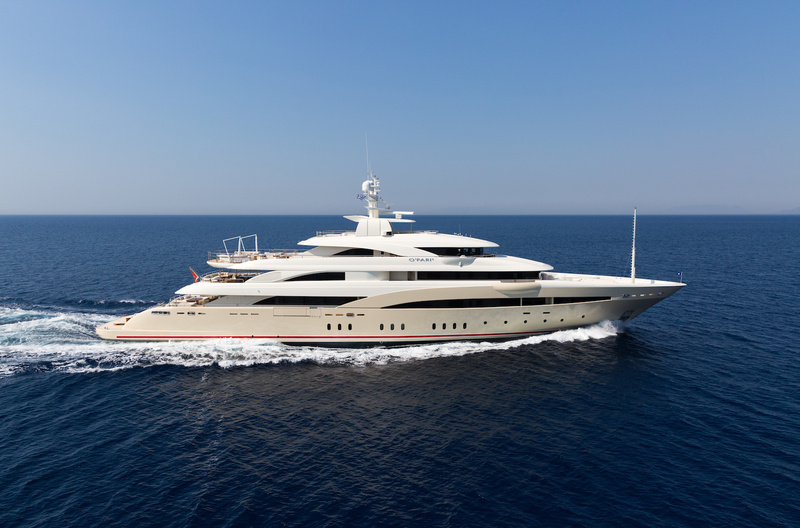 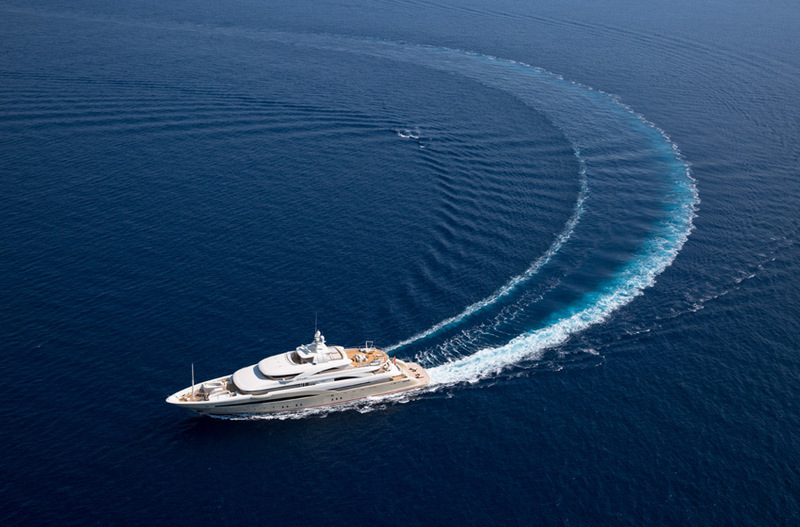 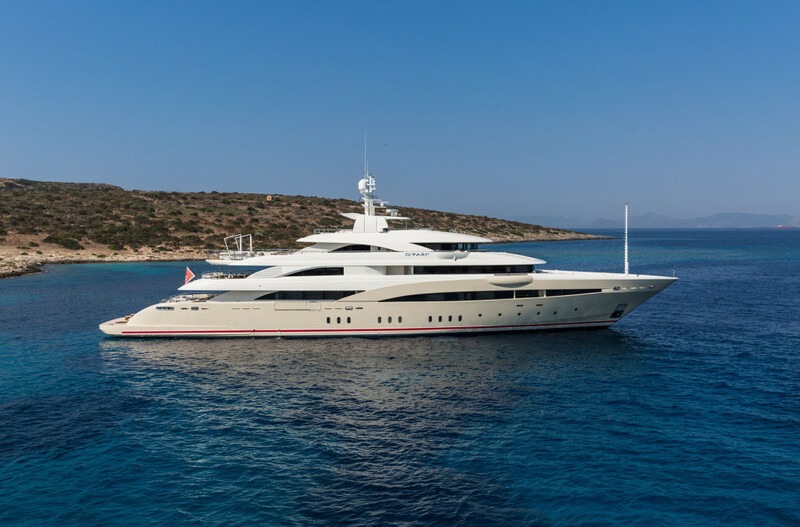 Luxury motor yacht NATALINA A can accommodate up to 12 charter guests, in 9 en-suite cabins. 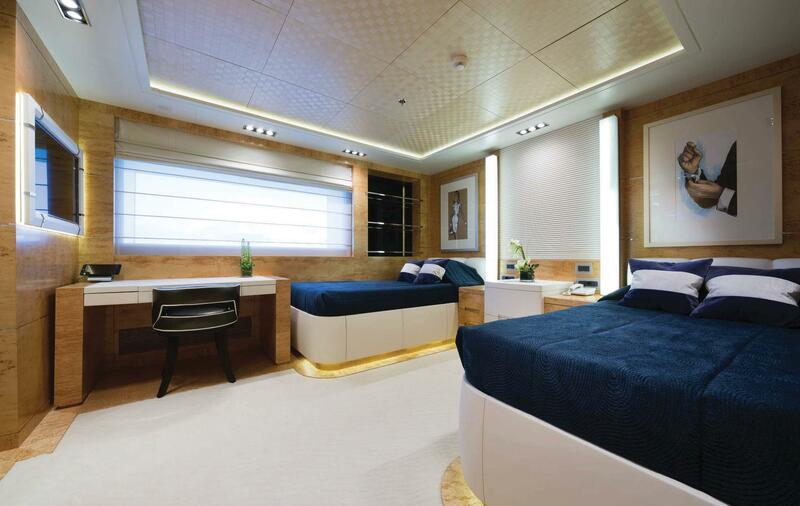 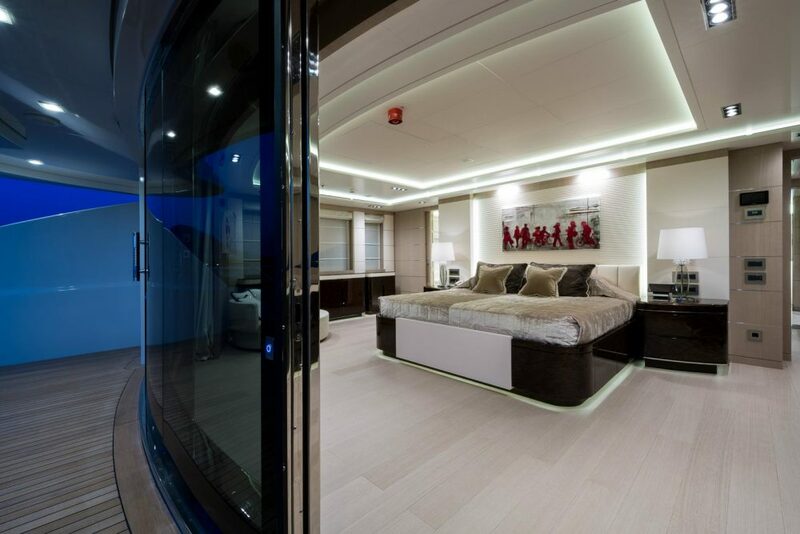 There are 3 master cabins, all of which are full beam of the yacht. 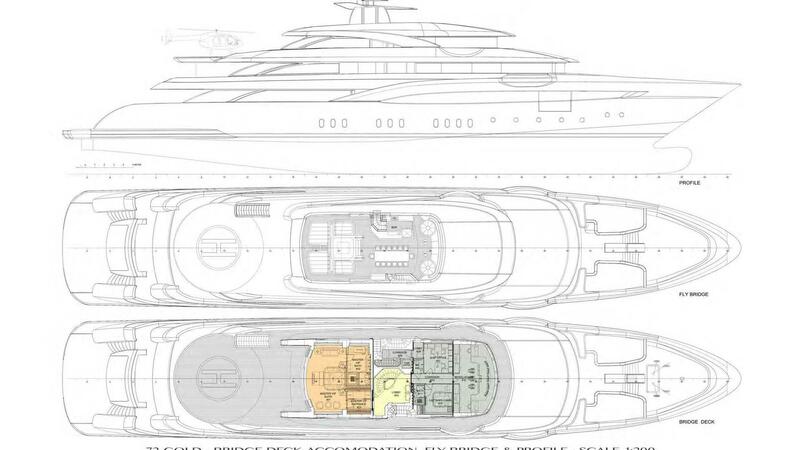 Master cabin 1 is on the main deck forward, master cabin 2 is on the upper deck forward, master cabin 3 is on the bridge deck aft. 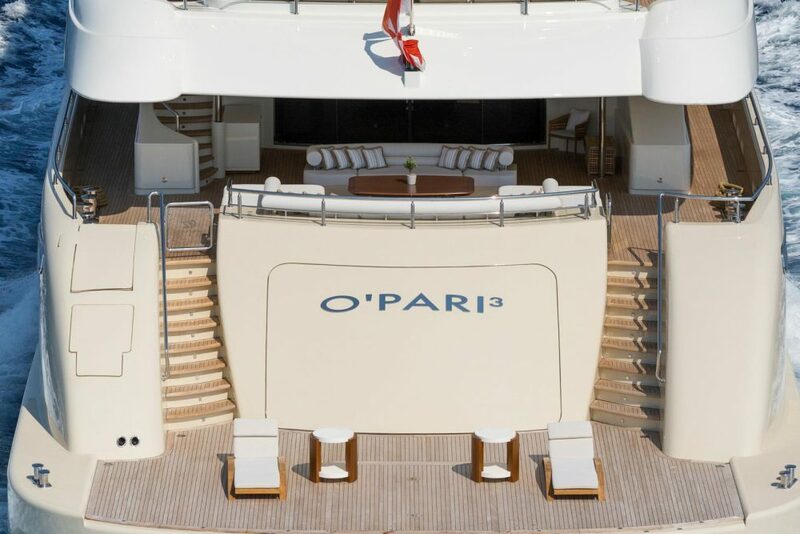 2 VIP cabins are on the main deck. 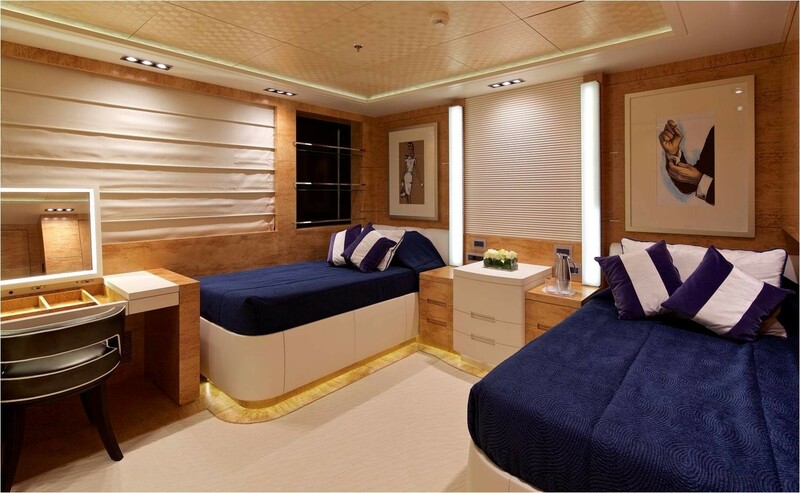 1 twin cabin is on the main deck. 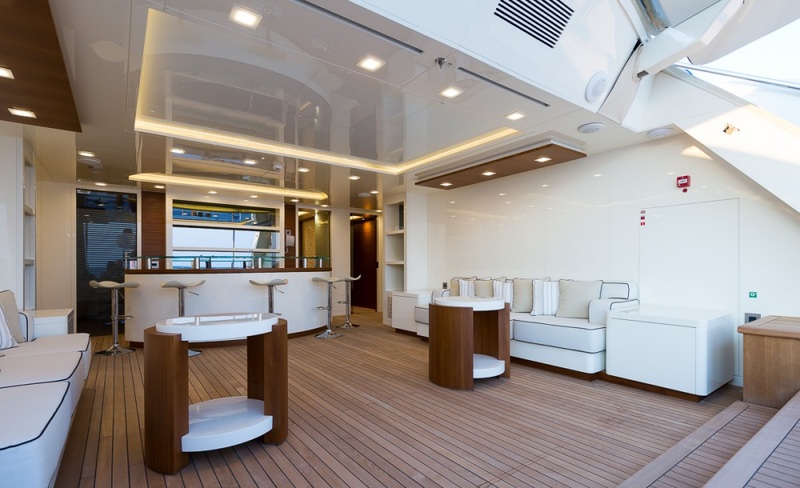 2 twin cabins are on the upper deck. 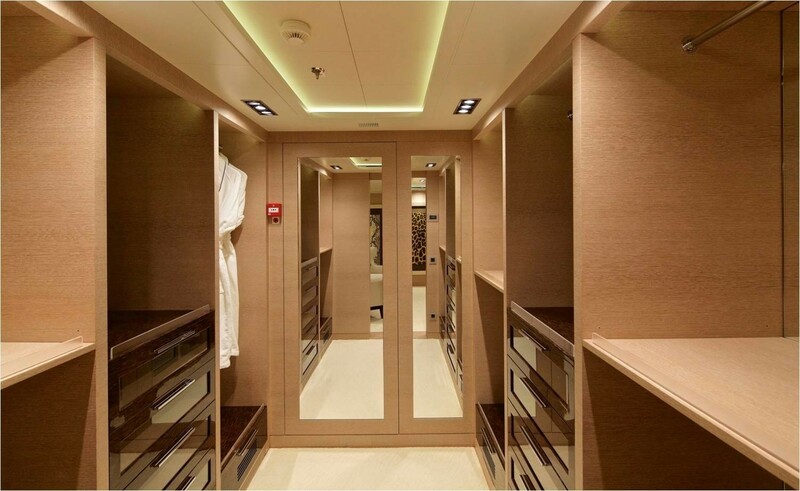 1 twin cabin is on the lower deck. 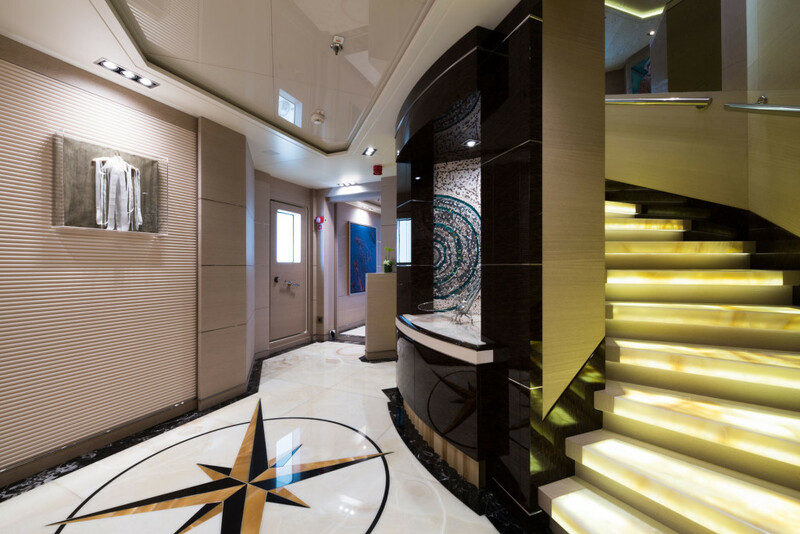 A beautifully finished stair case sweeps from the lower deck right up to the bridge deck, connecting all decks with ease. 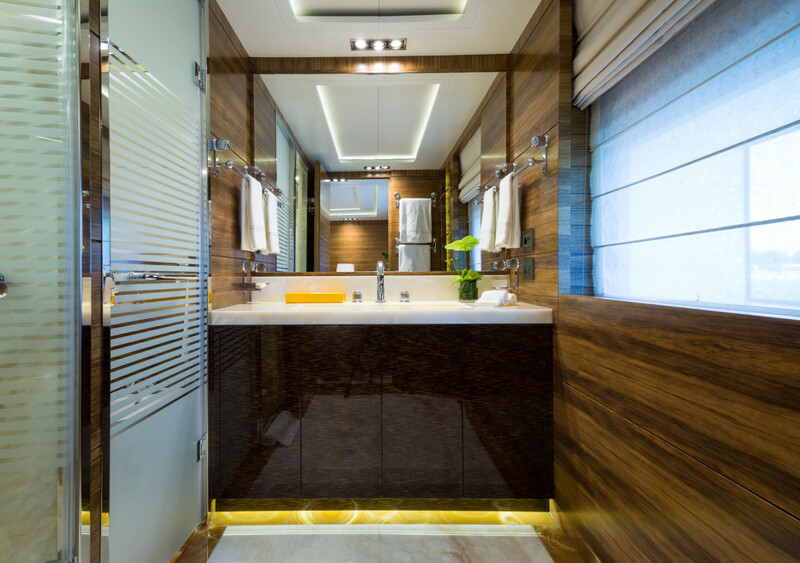 The finest in marbles, fittings, fabrics and furnishings adorn each guest cabin, offering a serene, elegant and sophisticated feel. 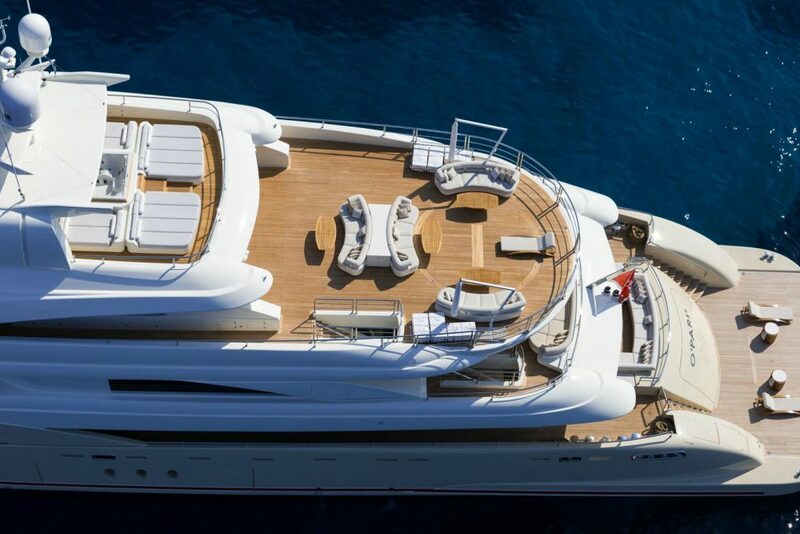 M/Y NATALINA A offers the following Tenders + toys: One Sea Ray 240' with Mercruiser 6,2cc 300hp, 45 knots speed, bimini and wc. 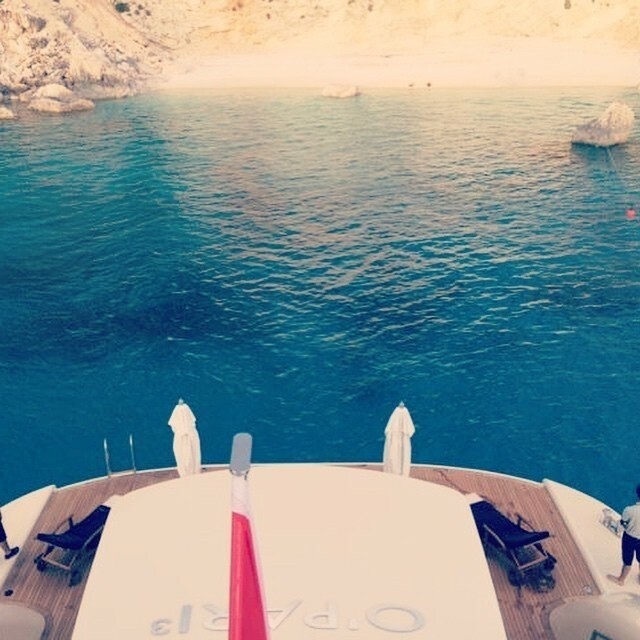 One professional ski boat Sport Nautique 200 PCM 385hp, 6.1m Two RIB tenders One Jet Ski Bombardier 1503 SCIC Seadoo GTX 215 One Jet SKi Bombardier 1503 SCIC Seadoo GTX 260 One Jet Ski Bombardier GP 1300R Two Wake boards One Wake Surf Monoski (2) Adult Ski (1) Children’s Ski (2) Two Paddleboards Fly Board Kayak Trampoline Hover Board One Towable Tube for 4 man Two Towable Tubes for 1 man each Five Scout Towable Tubes for 2 persons each Two Seabobs F5 GYM equipment: Free weights and dumb-bells Technogym Personal line Treadmill Technogym Personal line Bicycle Yoga mats Swiss ball Resistance training equipment Audio Visual Equipment and Deck Facilities: Crestron Audio-Video centralized system for films, video and music, accessible from all zones of the yacht. 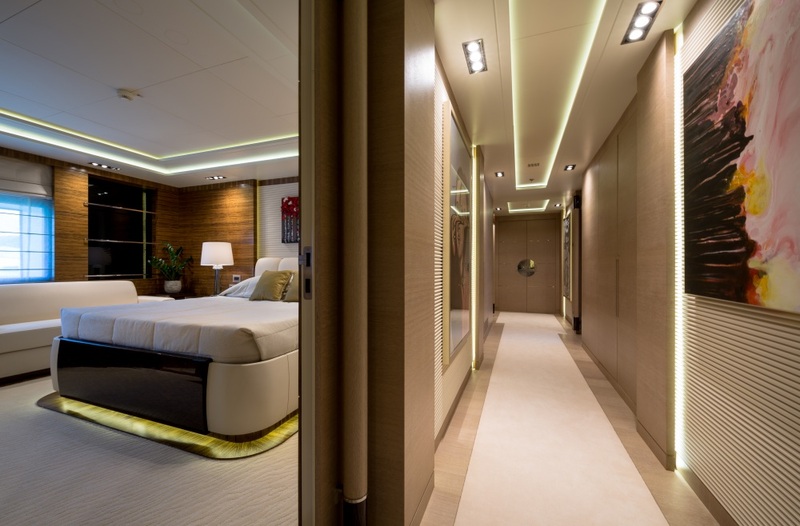 Dual controls’ automation system of audio-video equipment, lights, curtains and air conditioning is offered through wall-mounted fixed touch panels and iPad, while personal iPhone or iPad of guests can be connected to the audio-video system. 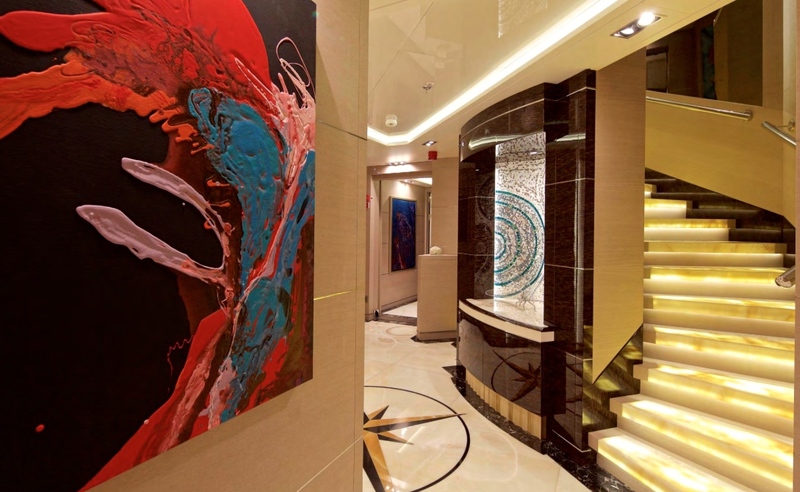 New generation, high-definition TVs are featured in the salons and all cabins. 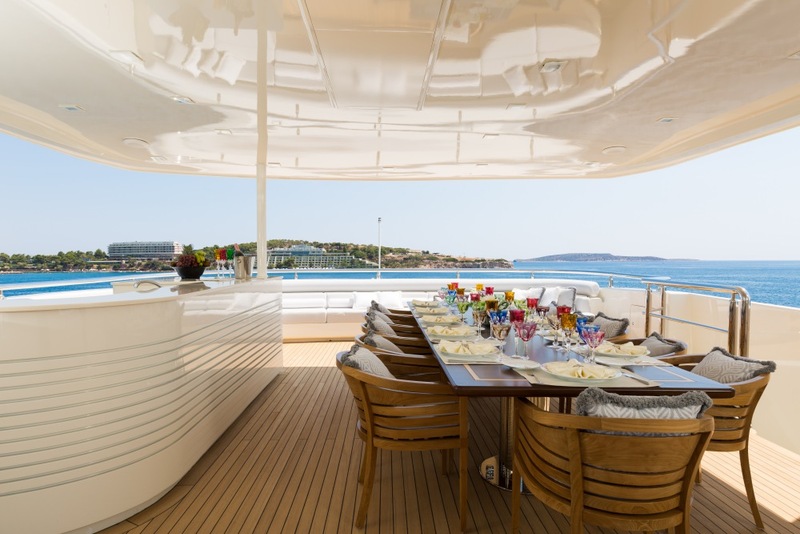 Multiform audio distribution system for 29 zones, each with independent air play, Bluetooth, internet radio, spottily and simultaneously streaming music from music server for each zone. 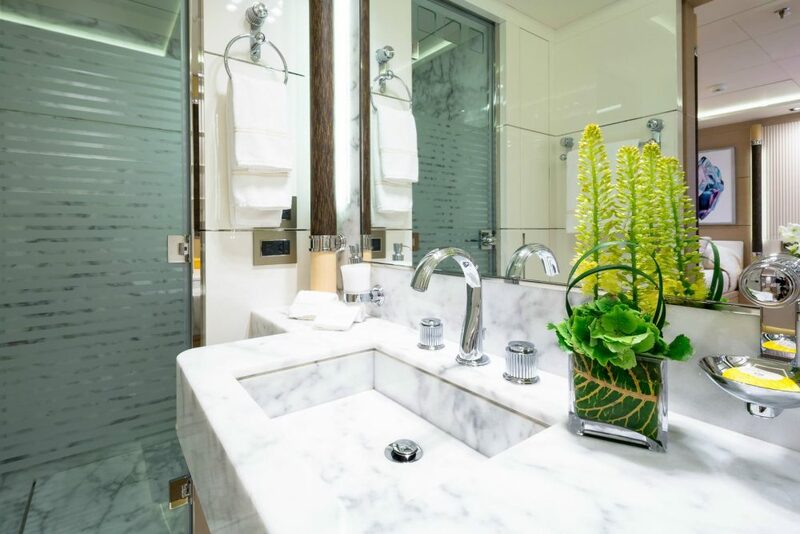 Music selection can be made by dedicated mini i-pad’s that are located in every room. 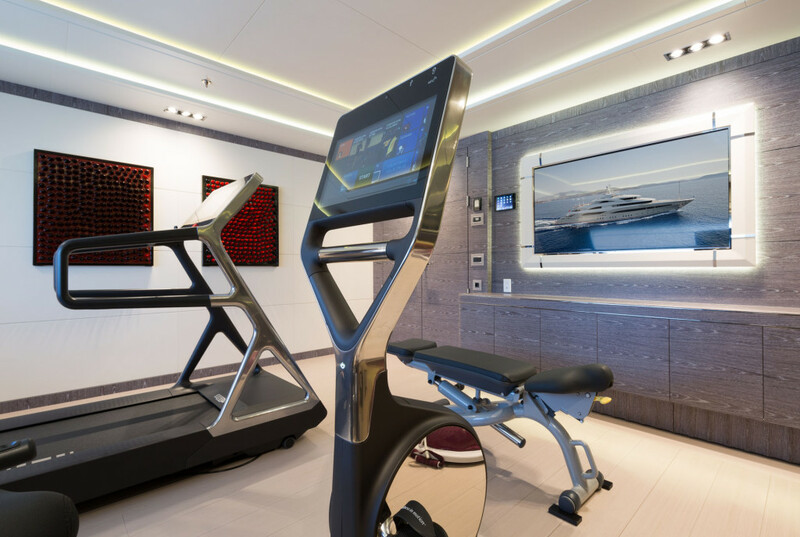 Guests can connect their iPhone / iPad / Android to the AV system for complete personalized entertainment In total 14 TV’S from 32’ up to 84’ are installed. 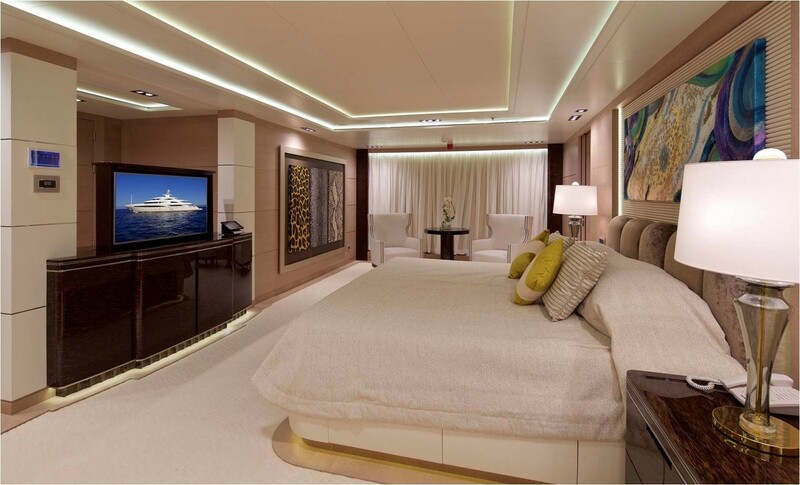 Master suites, VIP suites and Salon’s have dedicated home cinema amplifiers for total 5.1 or 3.1 movies experience. 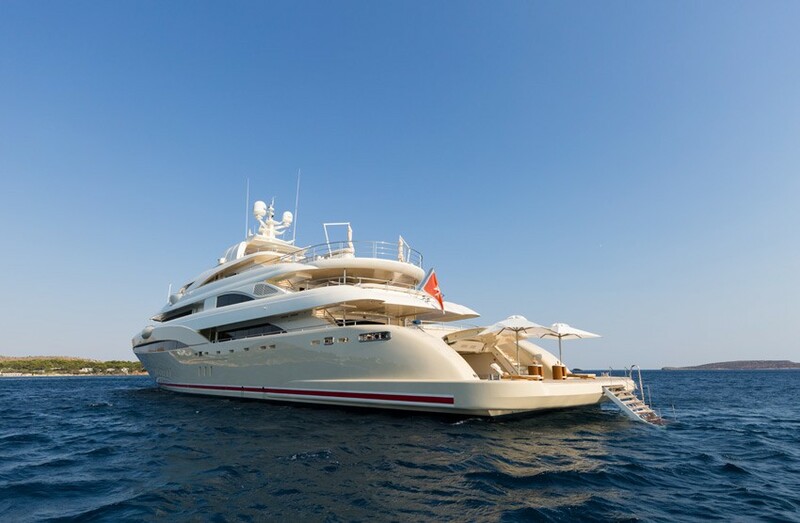 Dedicated media players, satelite receivers, apple tv players are connected to the cinema amplifiers. 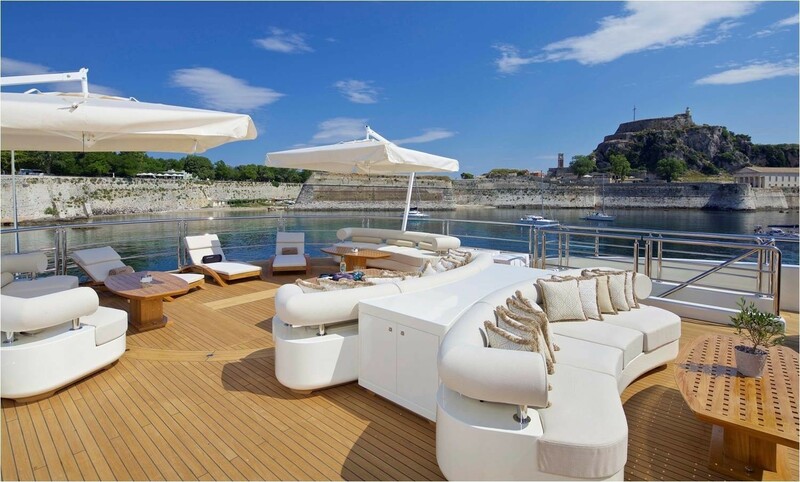 TV control is made by dedicated mini i-pad’s that are located in every area with custom Graphical user interface that has shortcuts for easy selection between movies server, sports channels, news channels and movie channels. 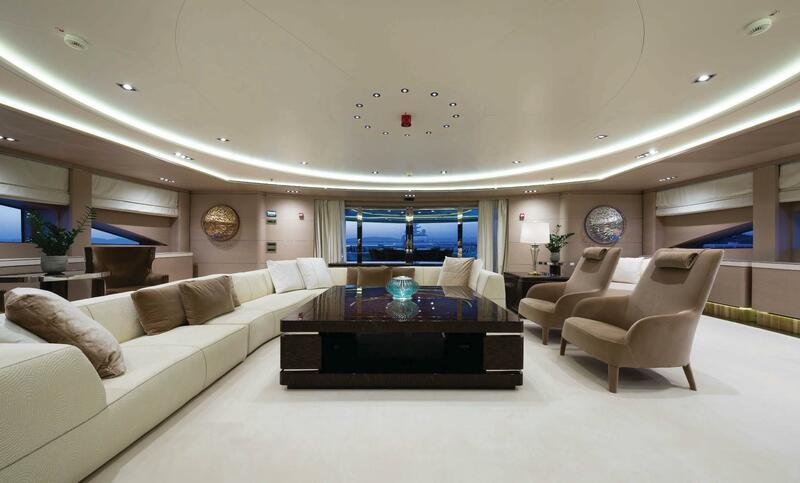 Dual Analogue and Digital control is installed an all areas. 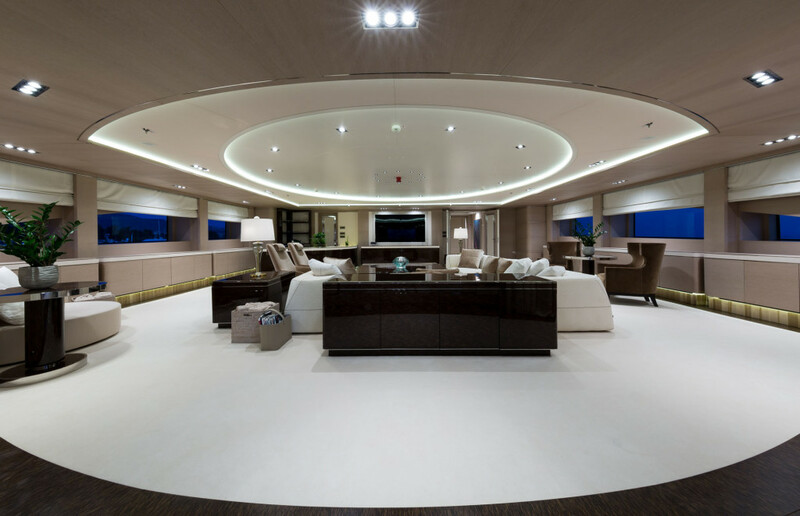 Customers can have individual control of all lights climate, blindes and shades from analogue classic switches or 7’ wall mounted touch panel or wireless mini ipad.